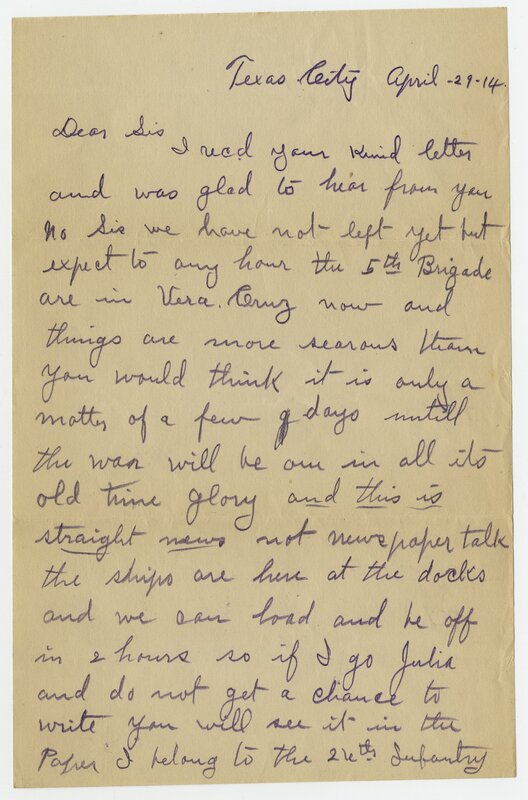 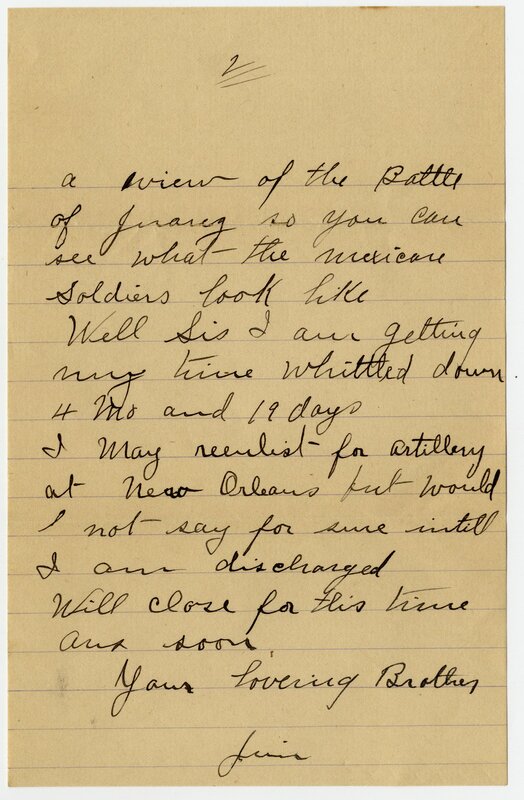 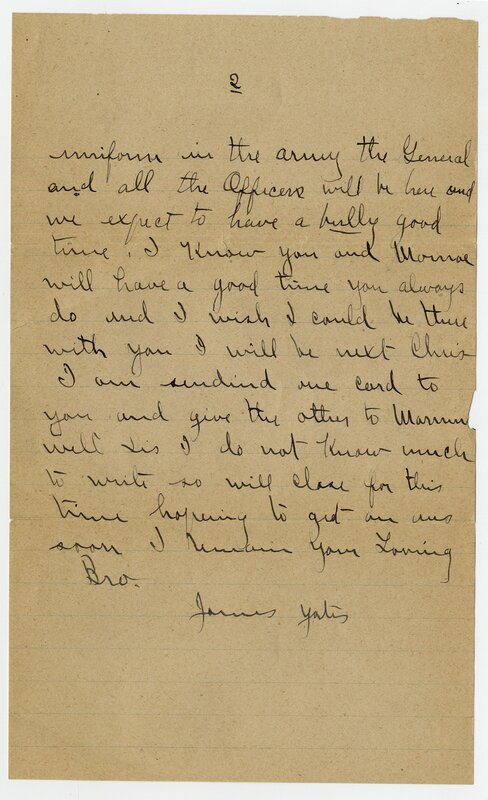 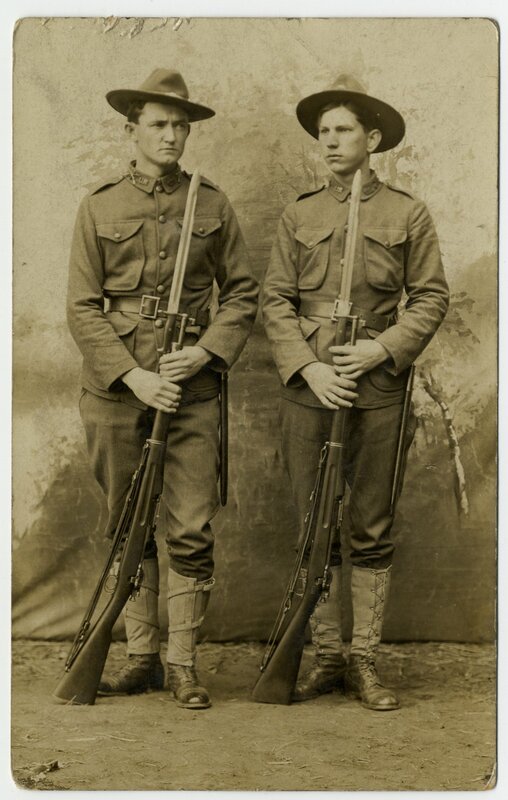 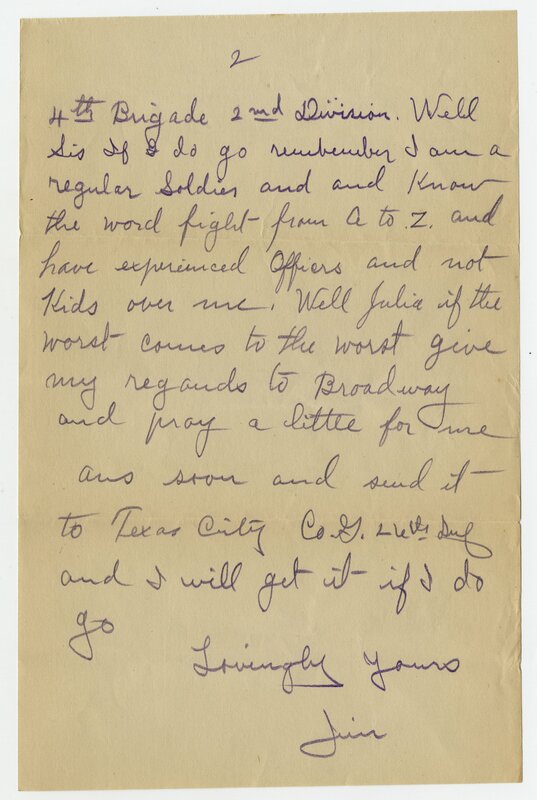 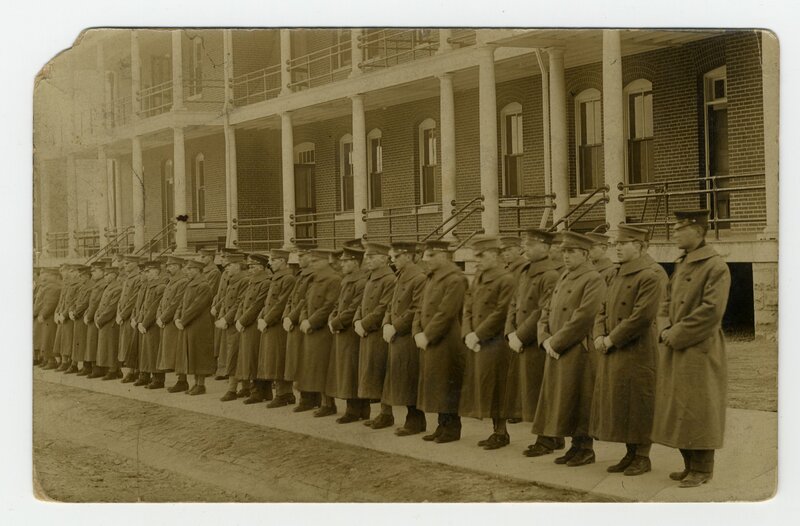 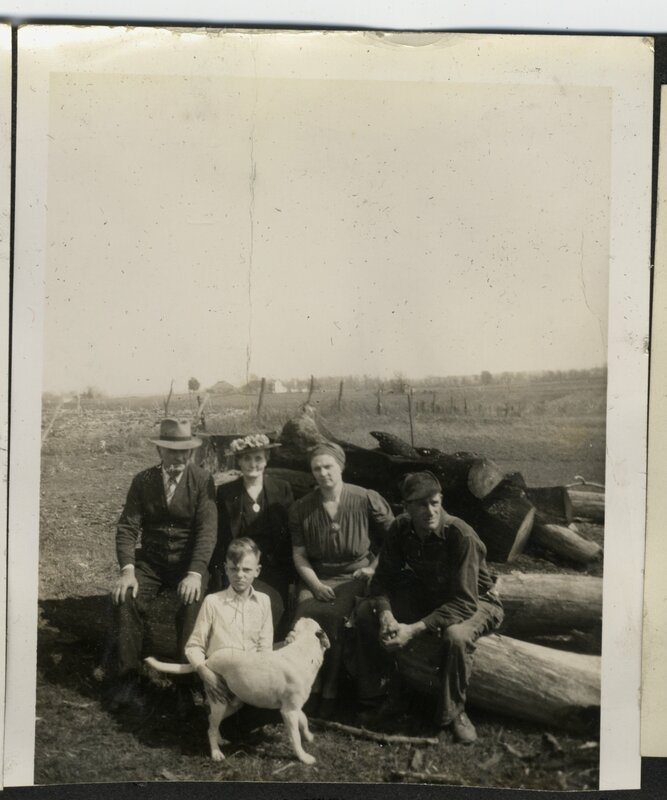 The James L. Yates World War I papers and photographs document Yates' time as a soldier in the United States military in the years leading up to American participation in World War I. 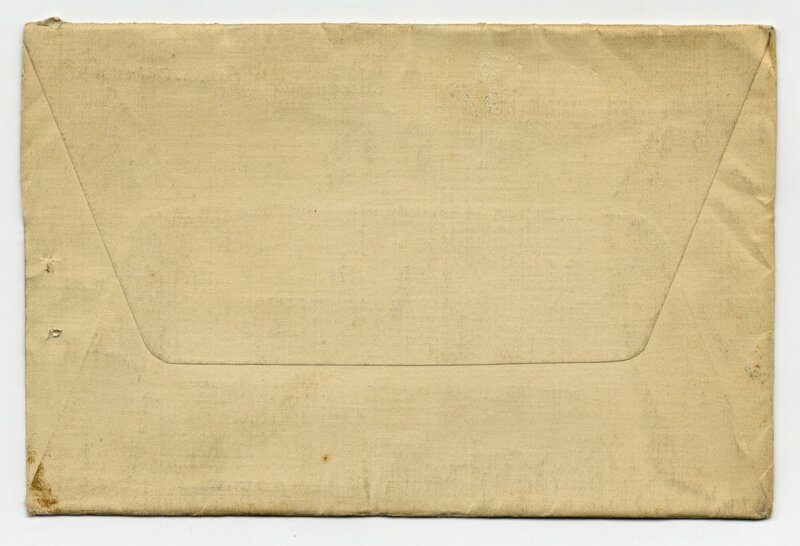 The collection is arranged into four series by material type. 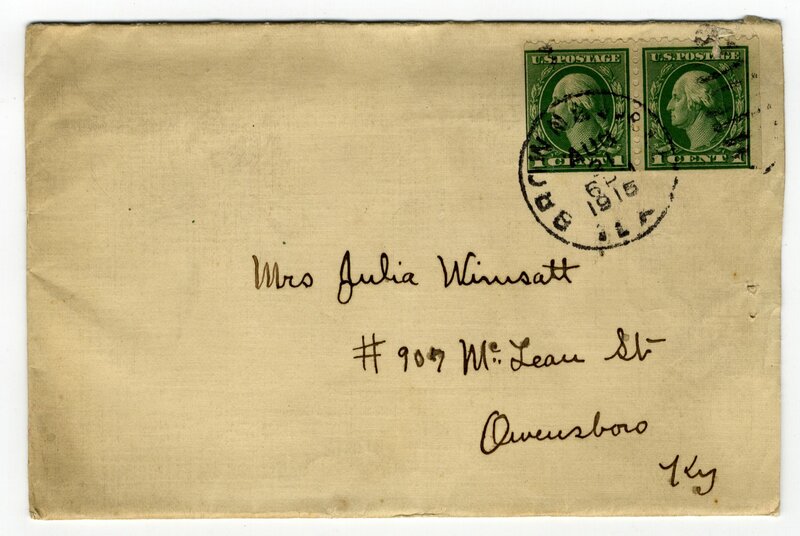 2011ms057 : [identification of item], James L. Yates World War I papers and photographs, 1909-1917, circa 1920s, University of Kentucky Special Collections. 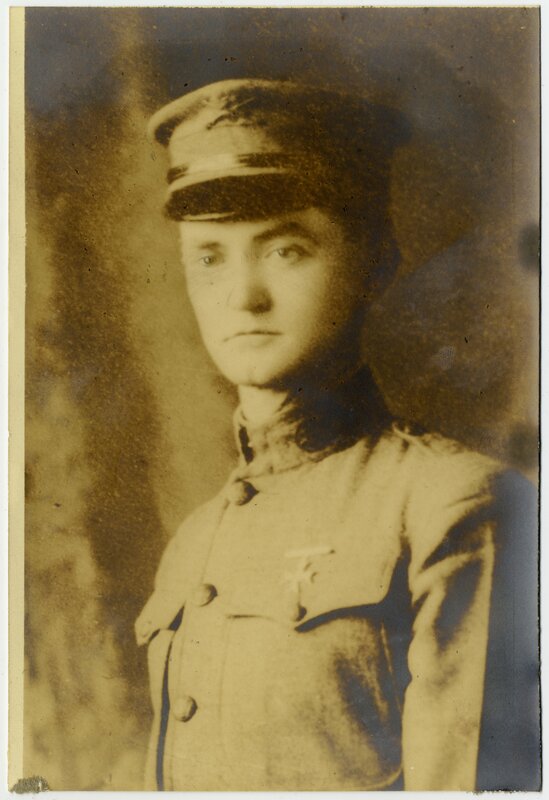 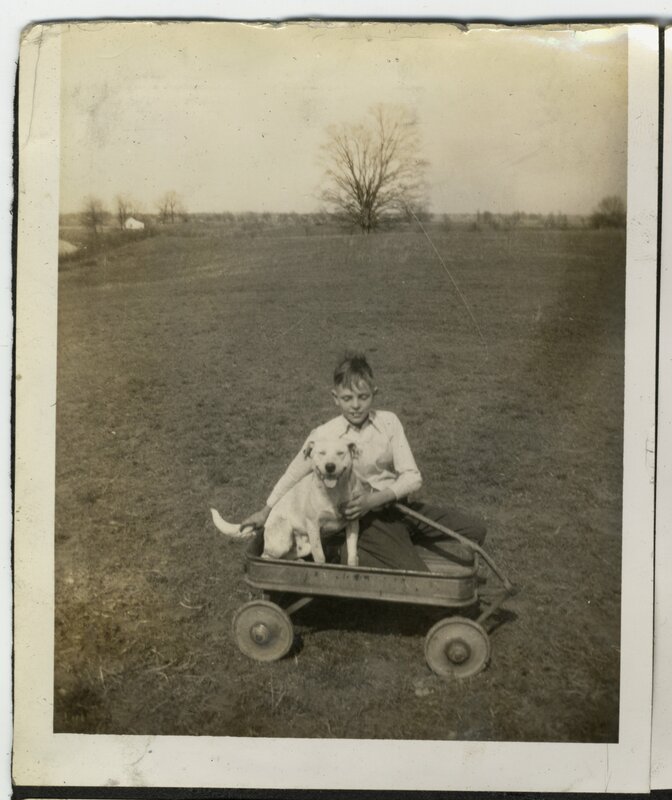 James L. Yates was the first person from Owensboro, Kentucky to die during World War I. 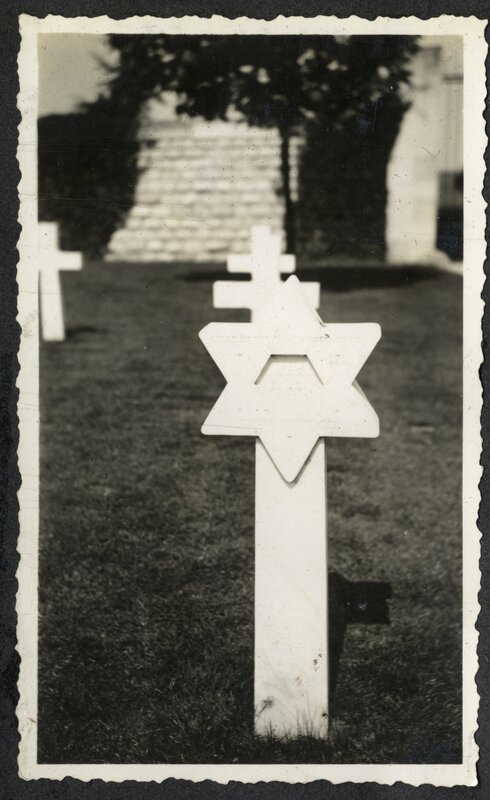 He was buried in Bony, France. 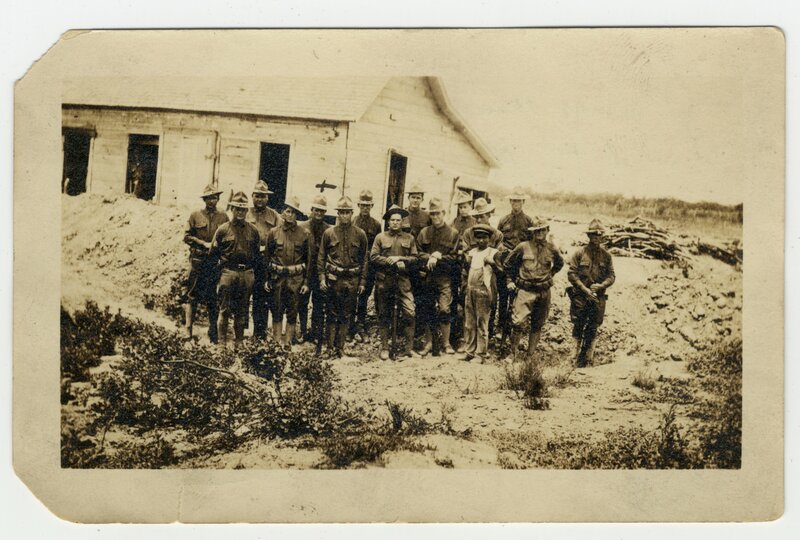 Before serving in France, Yates was stationed in Texas where he aided in patrolling the border with Mexico. 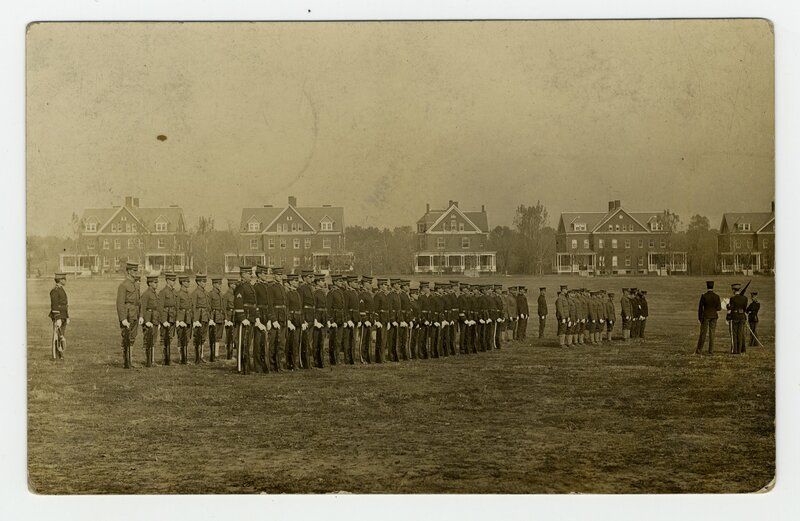 He also spent time at Fort D. A. Russell but it is unclear what his duties were there. 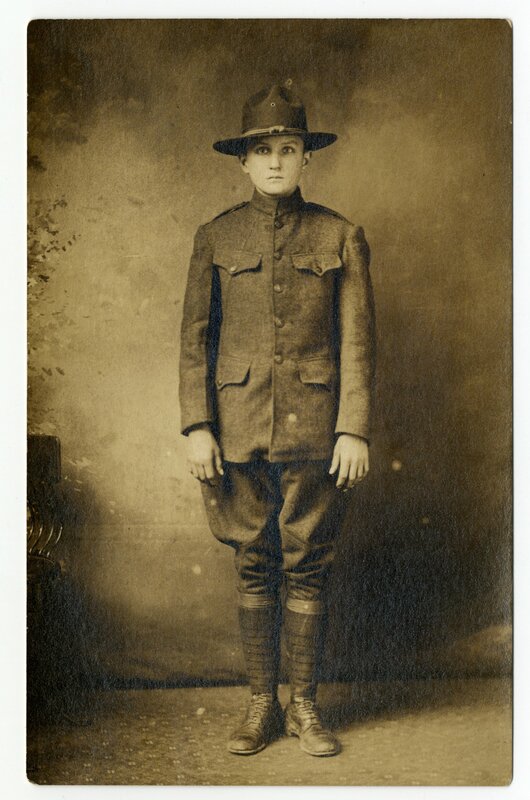 The James L. Yates World War I Papers and photographs document Yates' time as a soldier in the United States military in the years leading up to American participation in World War I. 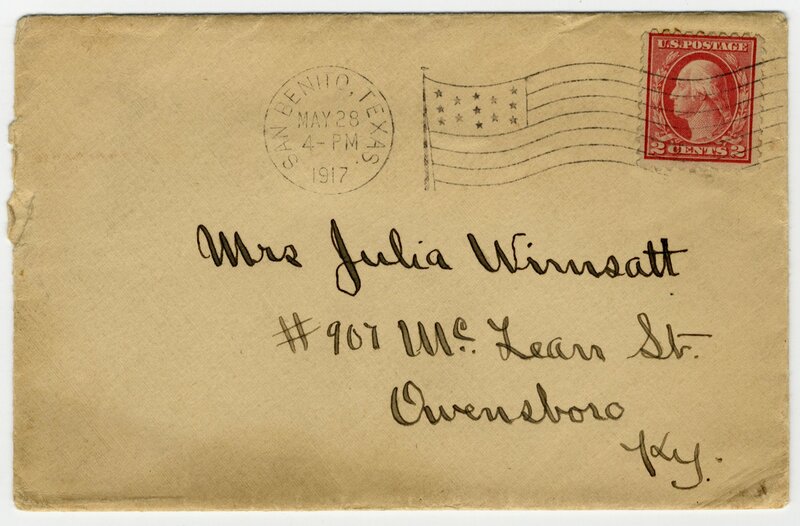 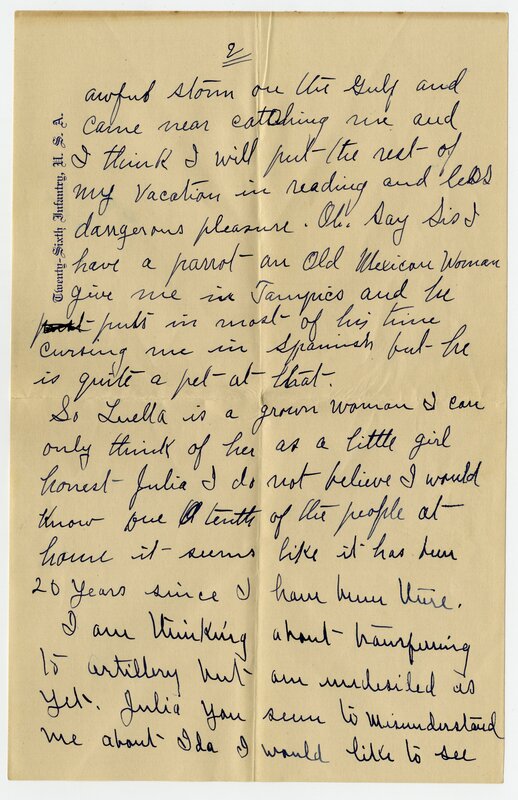 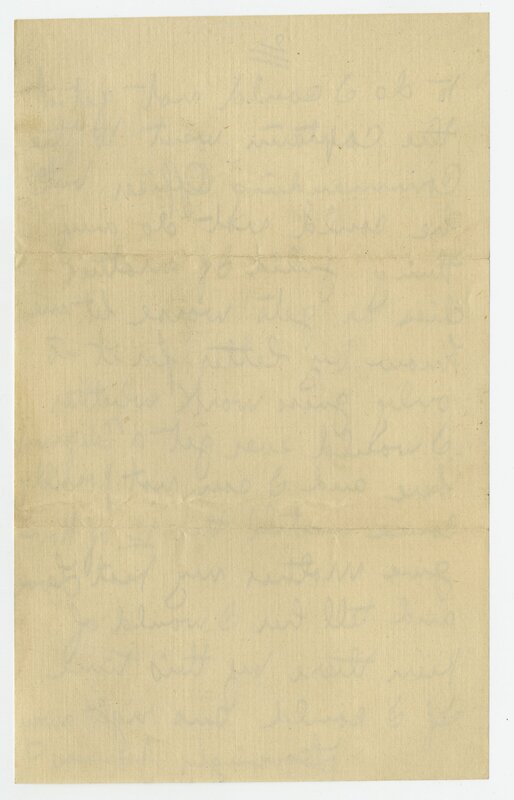 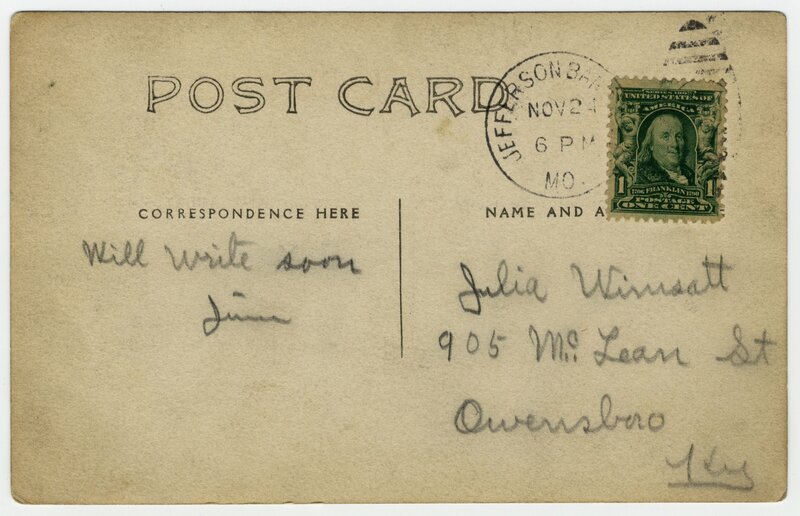 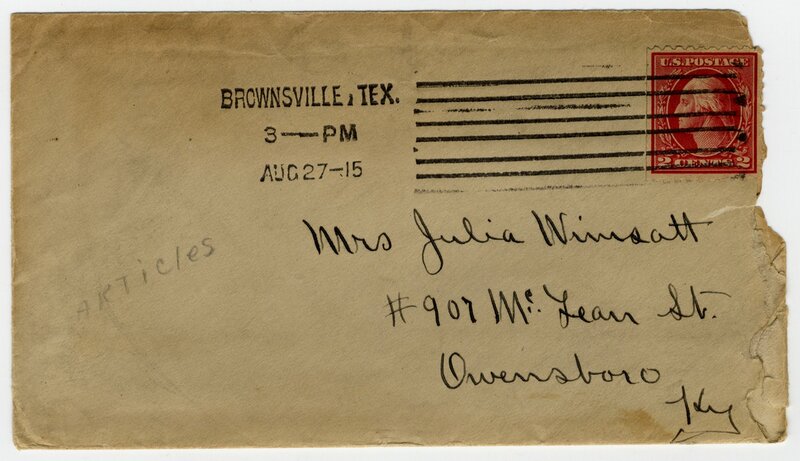 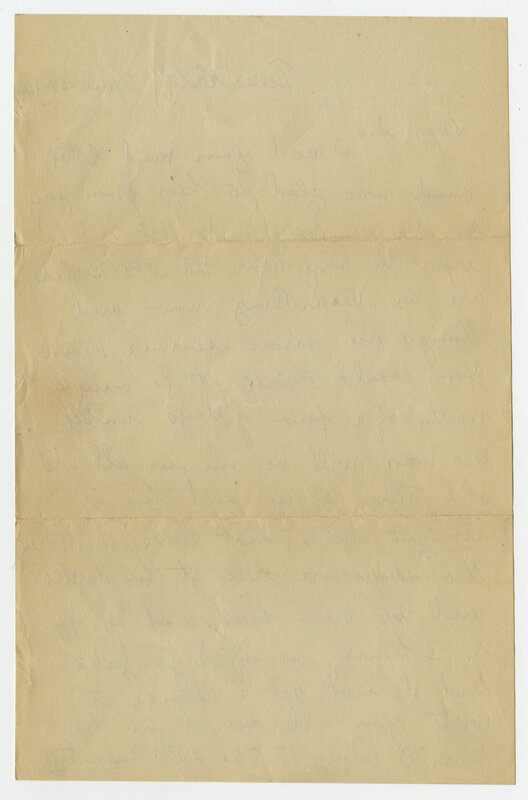 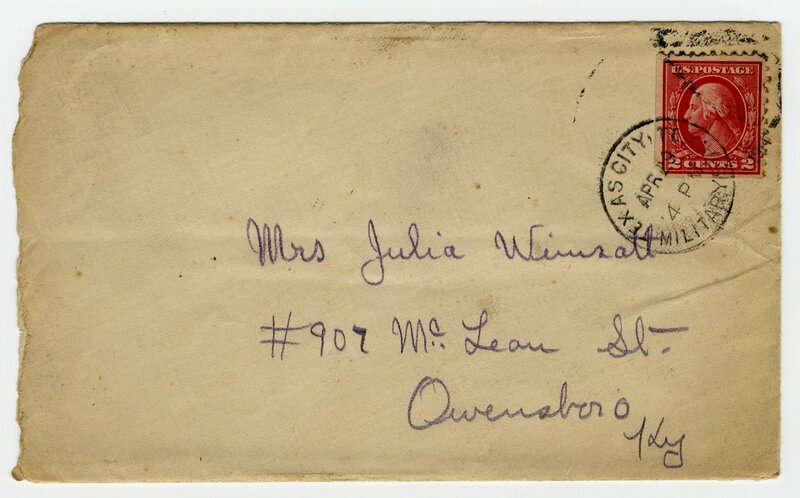 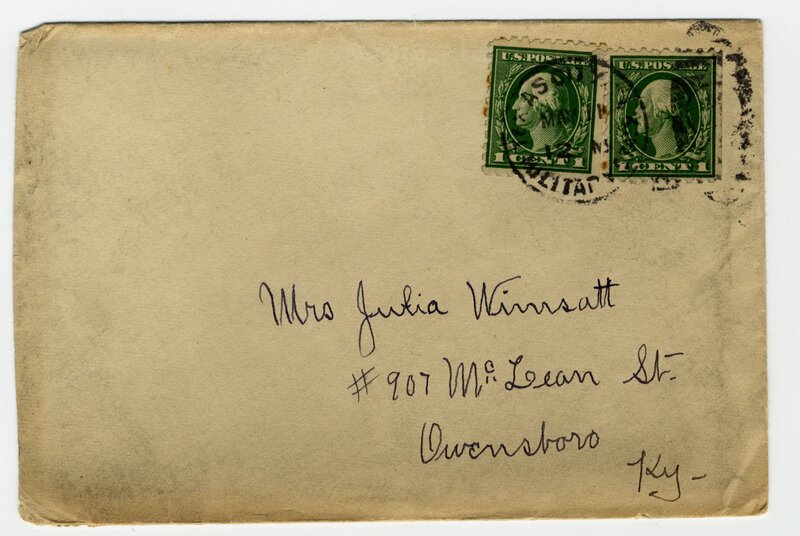 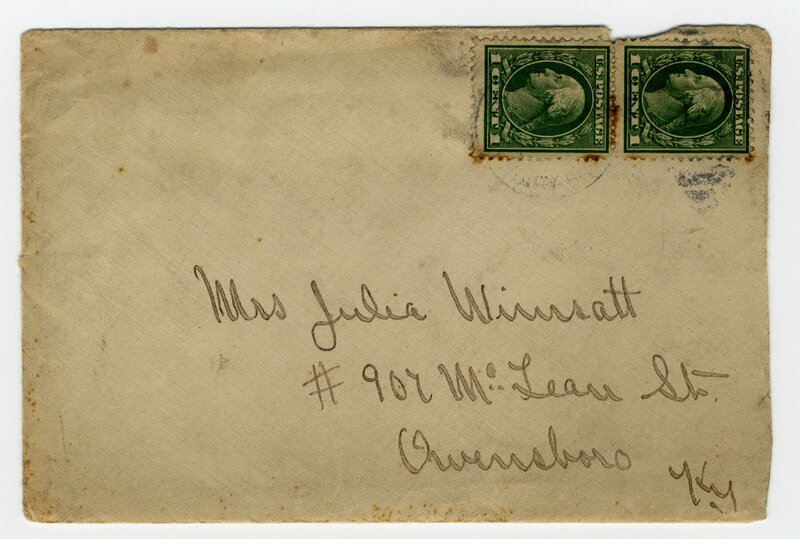 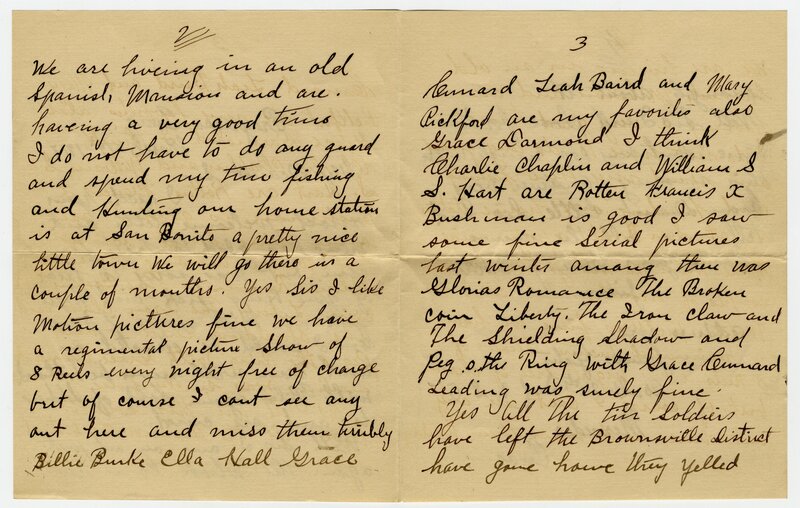 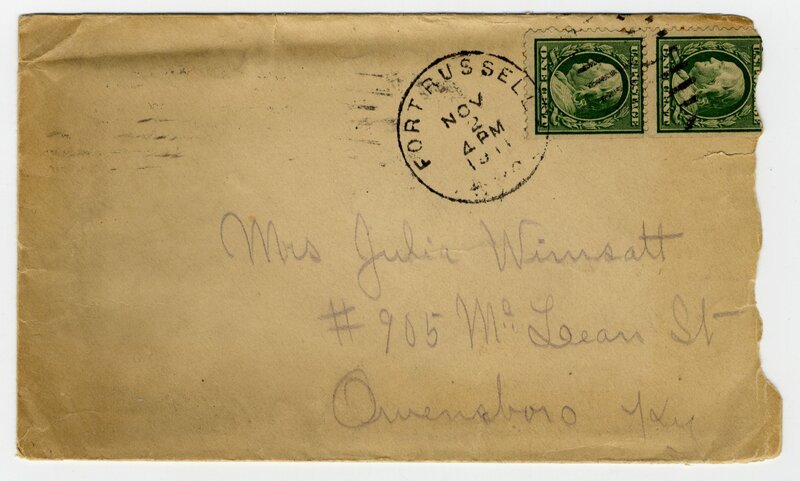 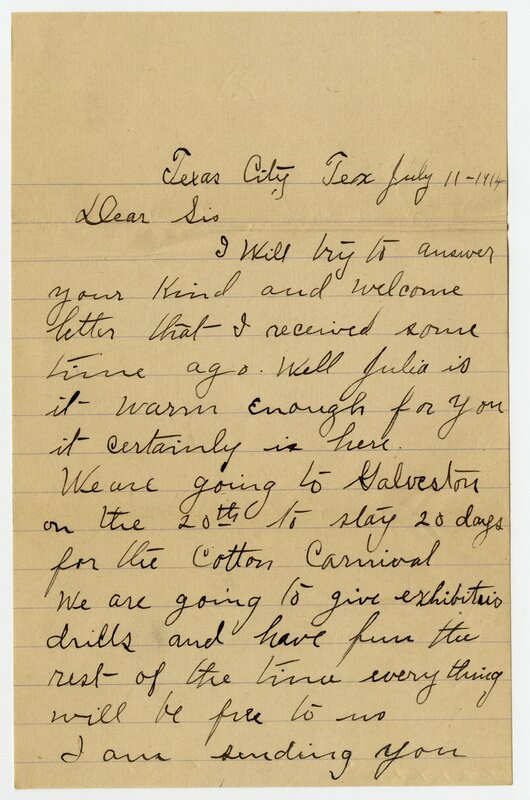 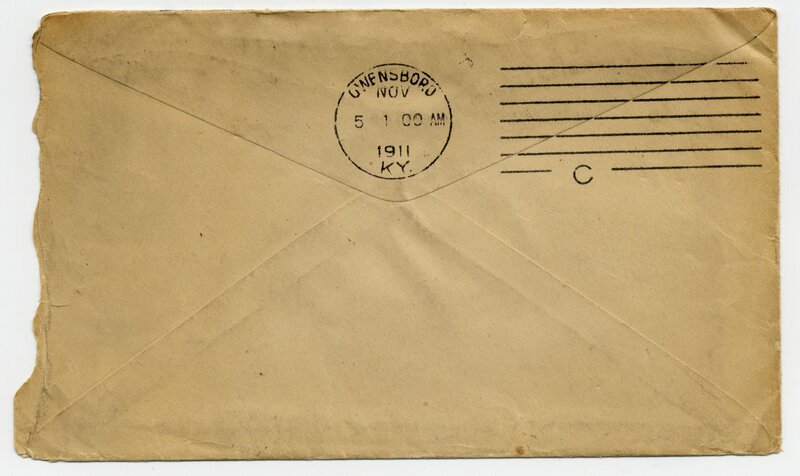 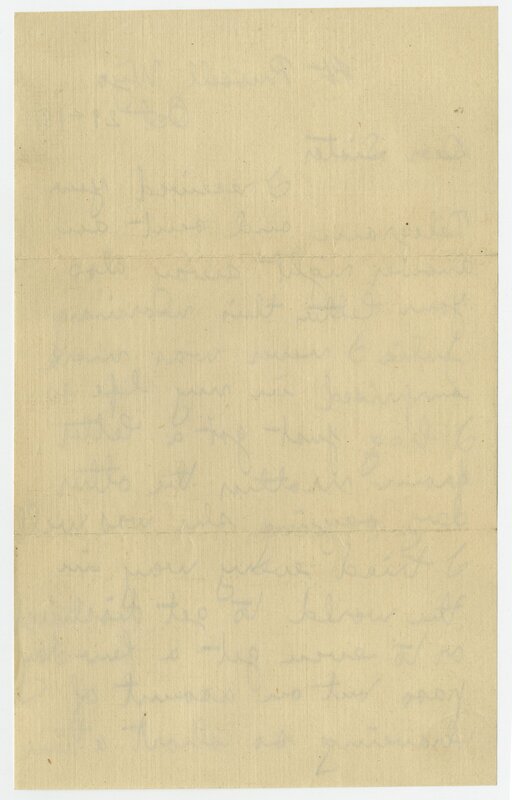 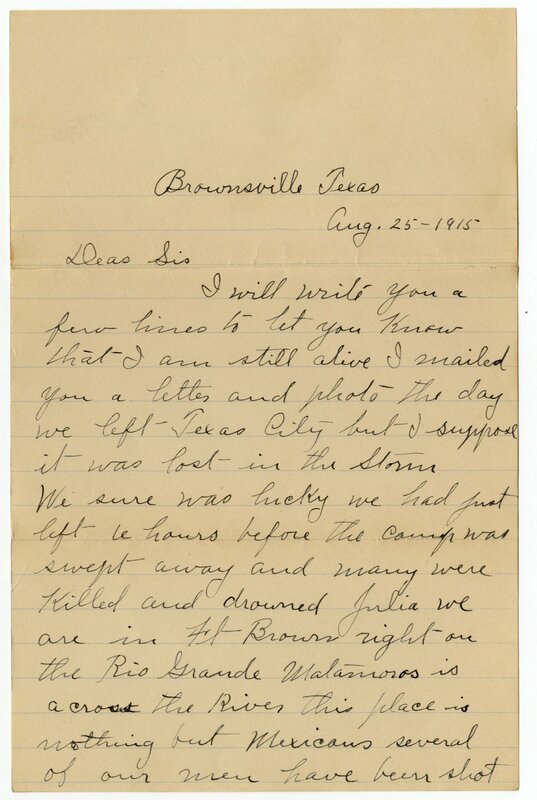 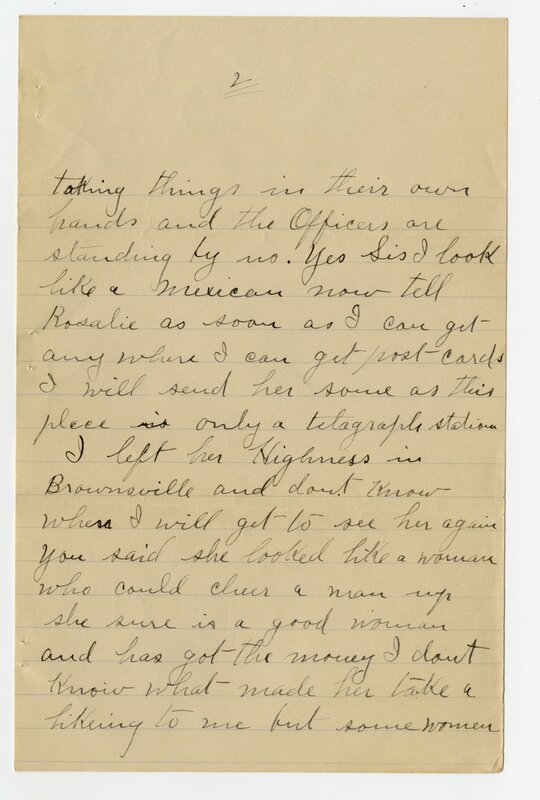 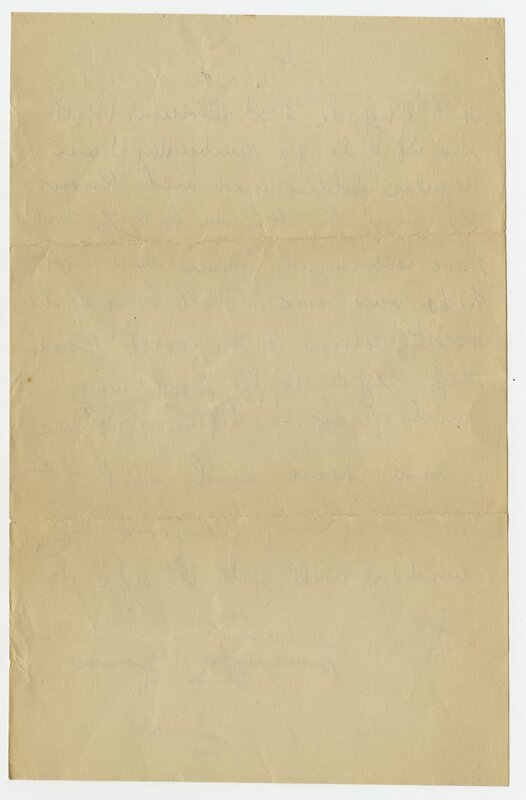 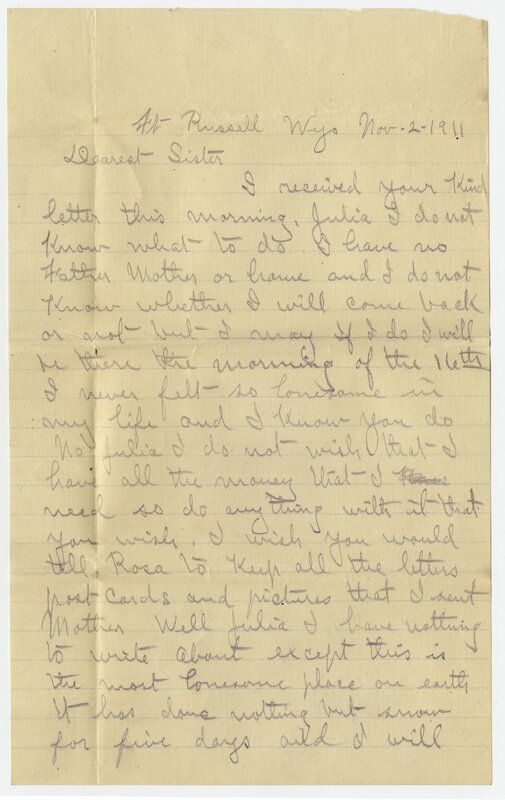 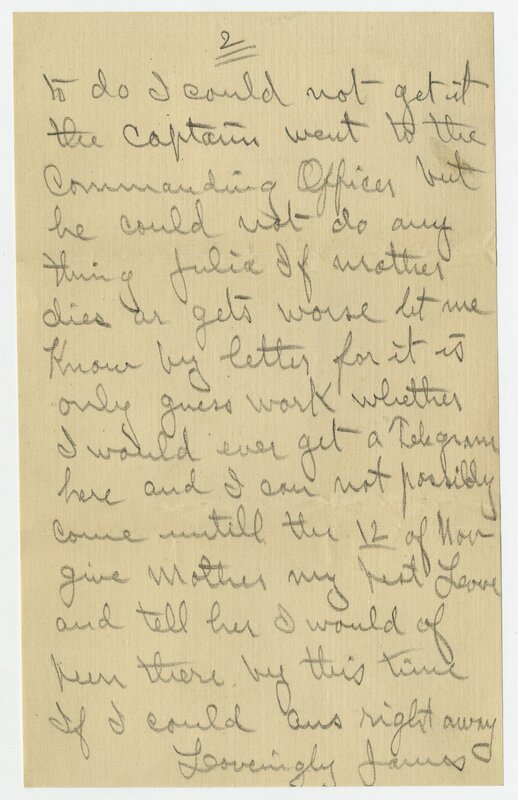 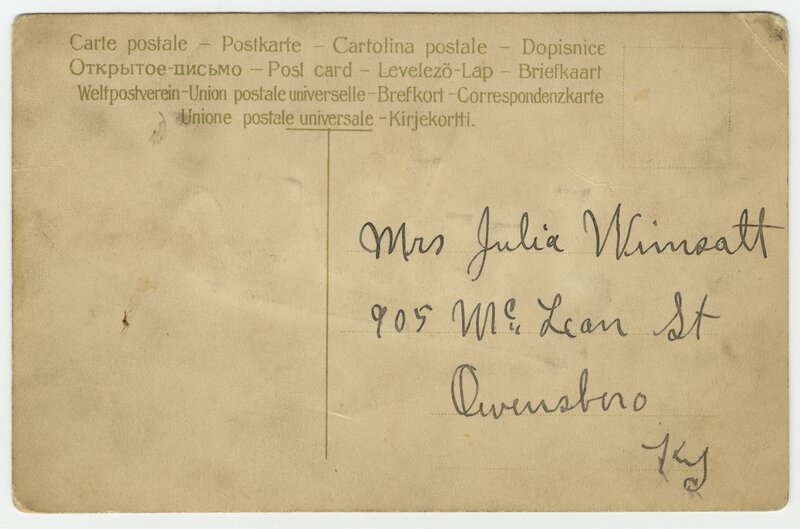 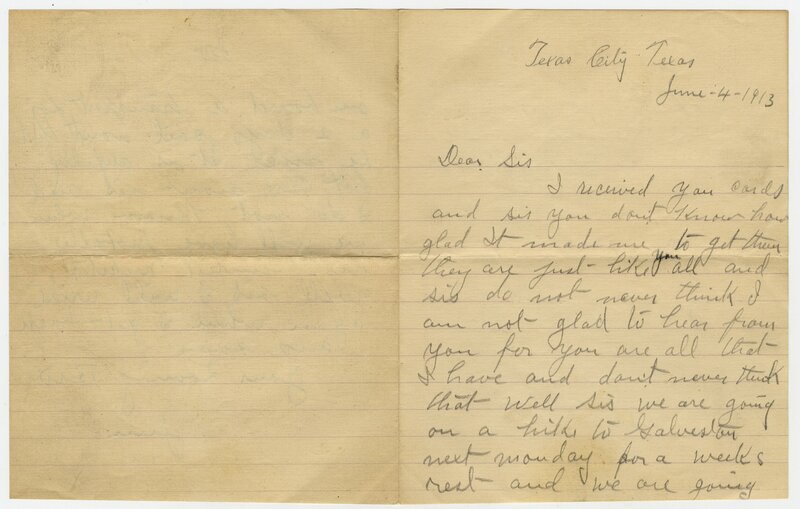 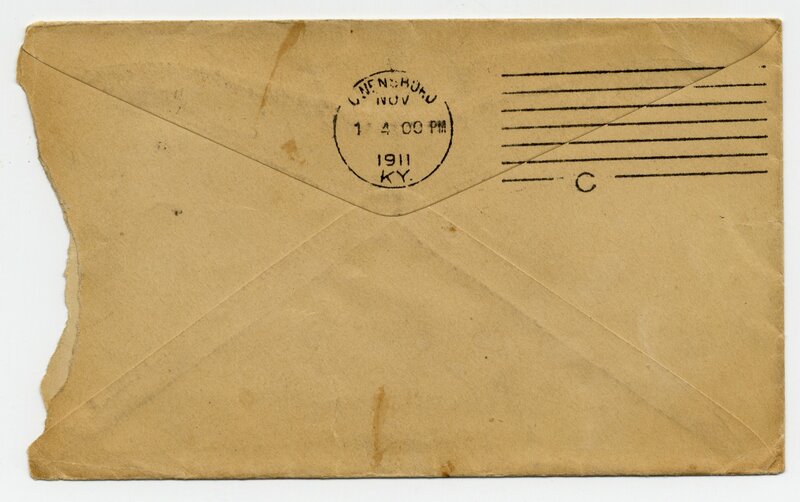 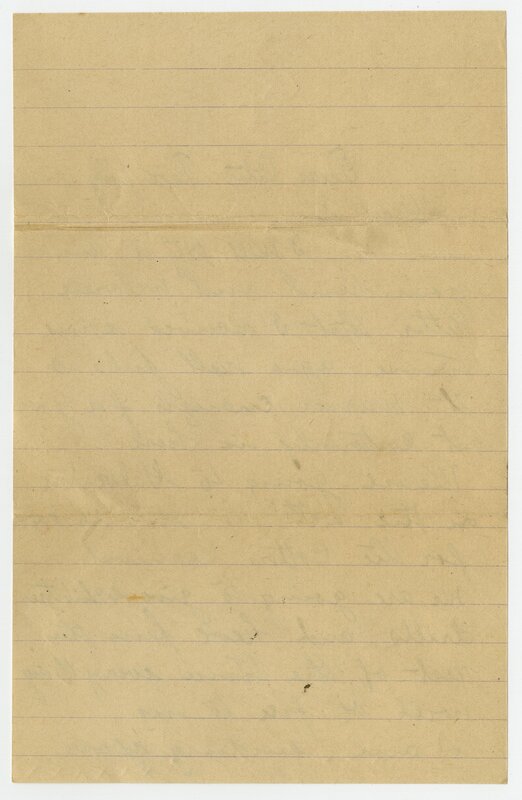 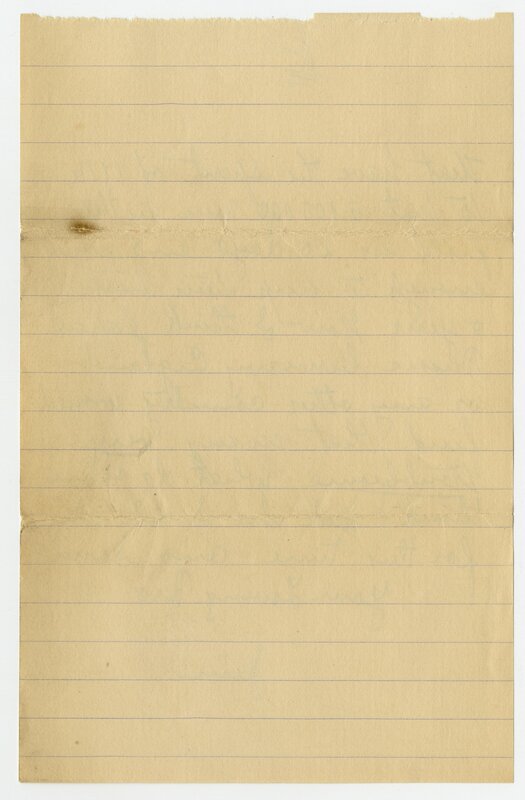 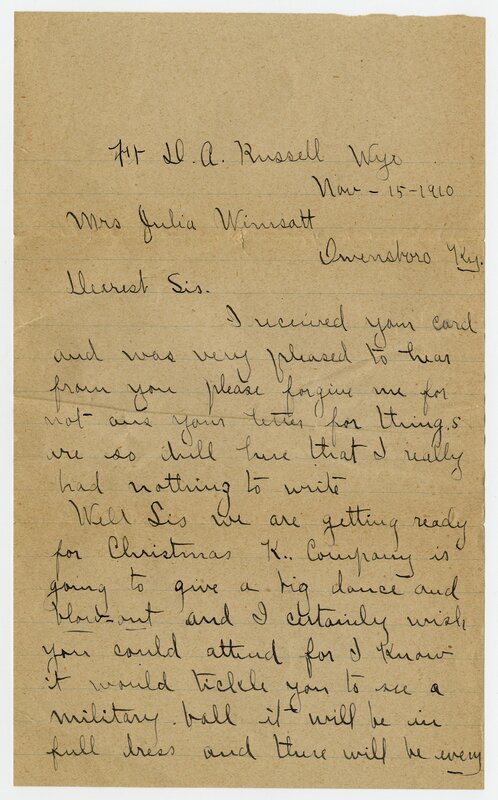 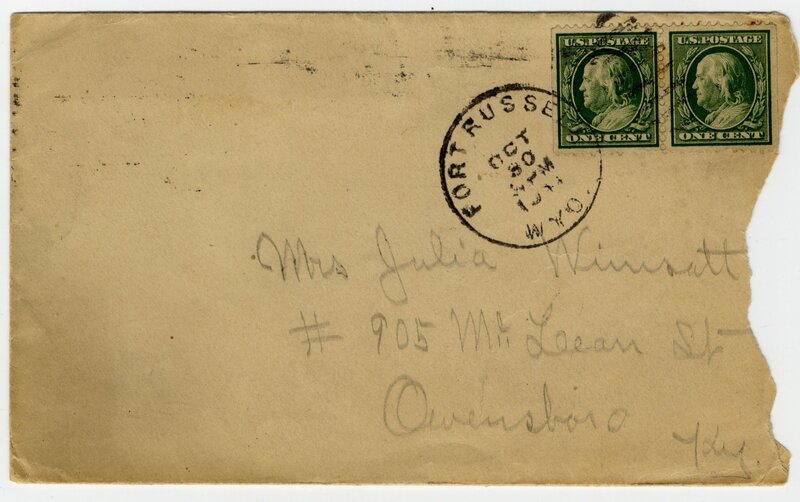 The papers consist largely of letters written to his sister, Julia Wimsatt, who lived in Owensboro, KY. 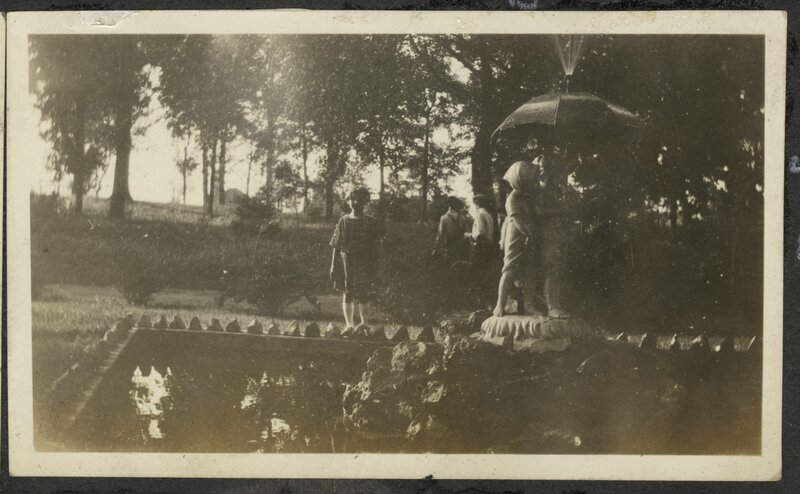 The bulk of the album photographs were taken when Frances Hebbard, wife of Lewis Hebbard (who was a half nephew of Yates) travelled to France to visit James Yates' grave. 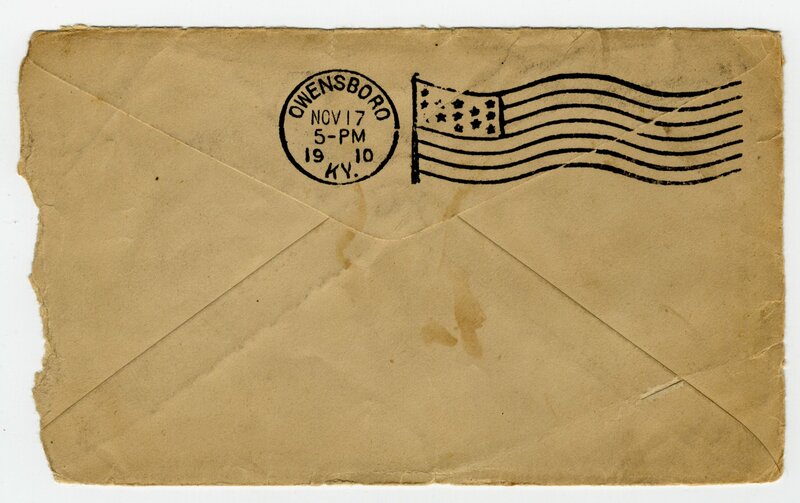 The clippings mainly document the reaction to Yates' death in Owensboro, his home town. 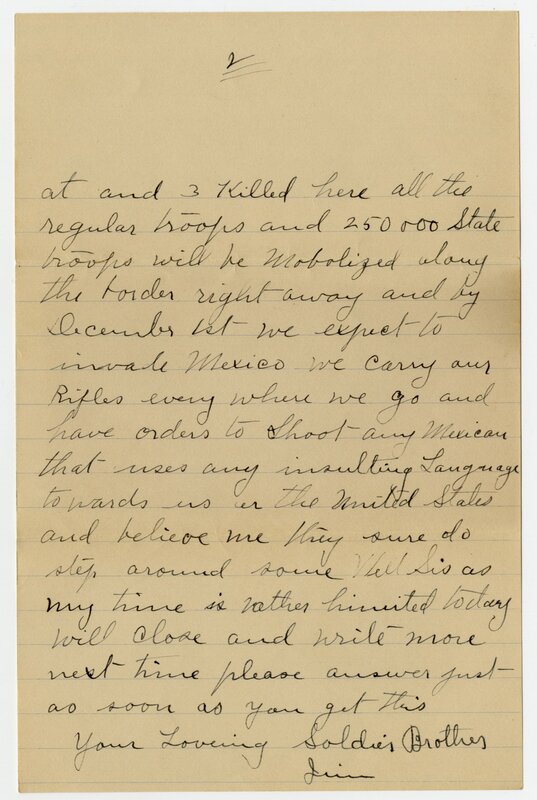 Several of the clippings pertain to his time guarding the Mexican border, which was his assignment before leaving for France. 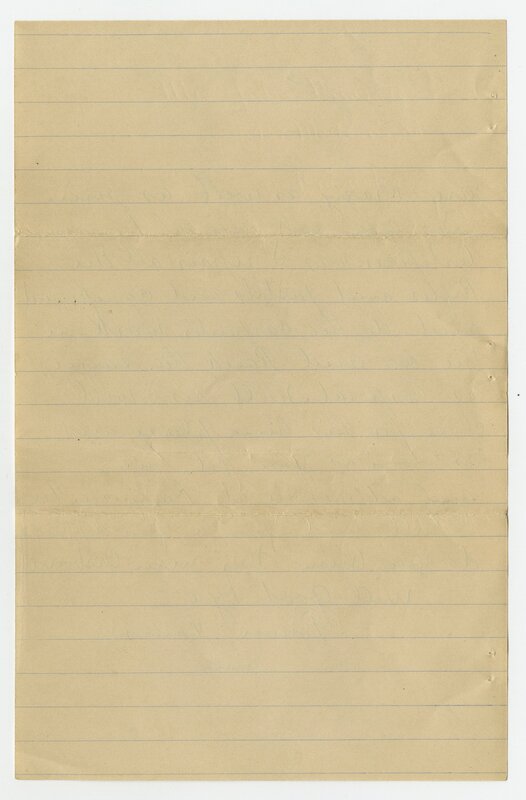 Conditions Governing Access note The collection is open to researchers by appointment. 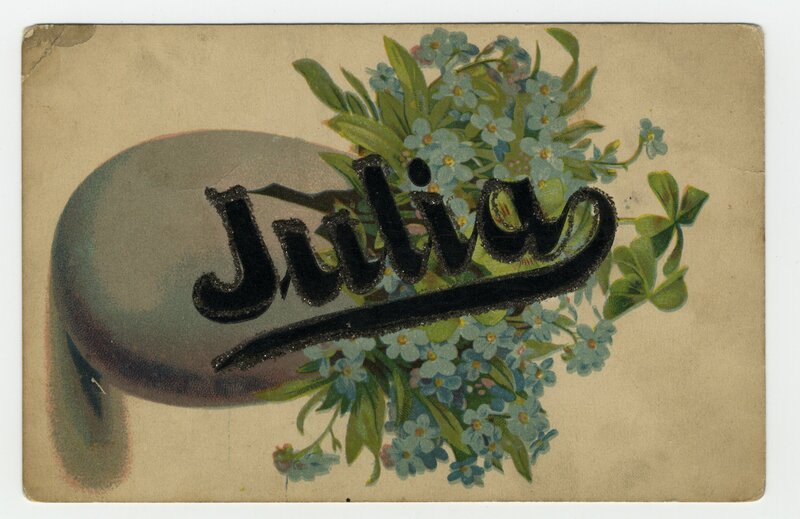 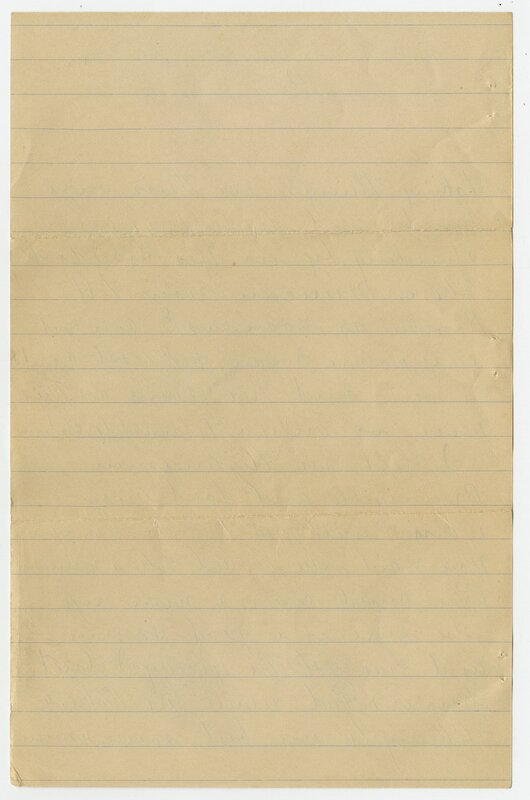 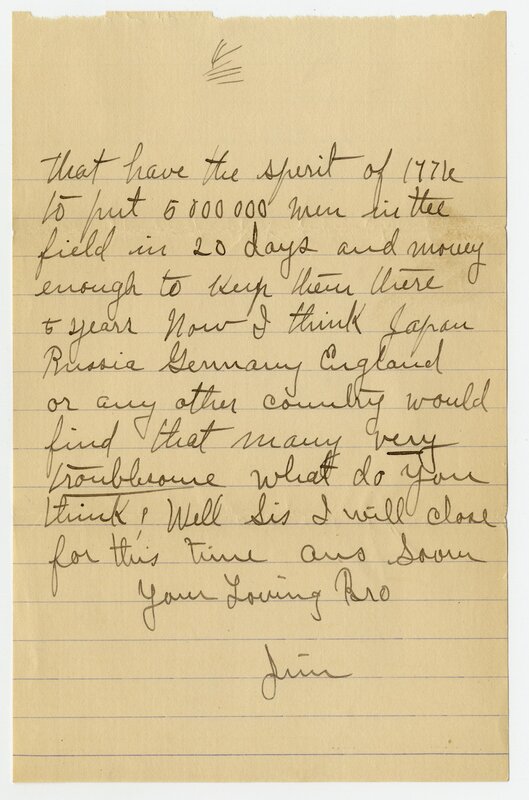 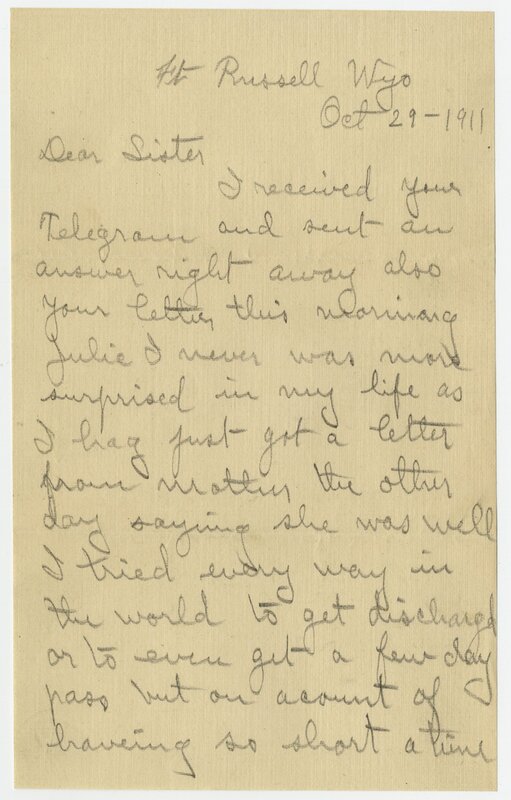 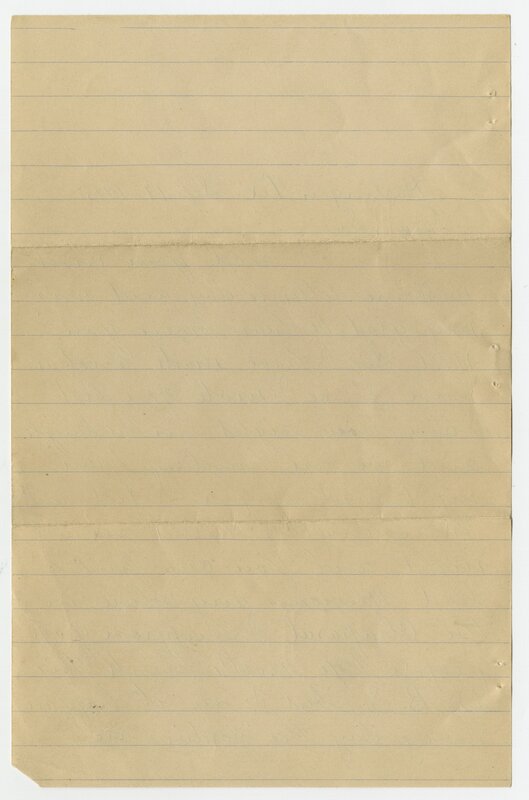 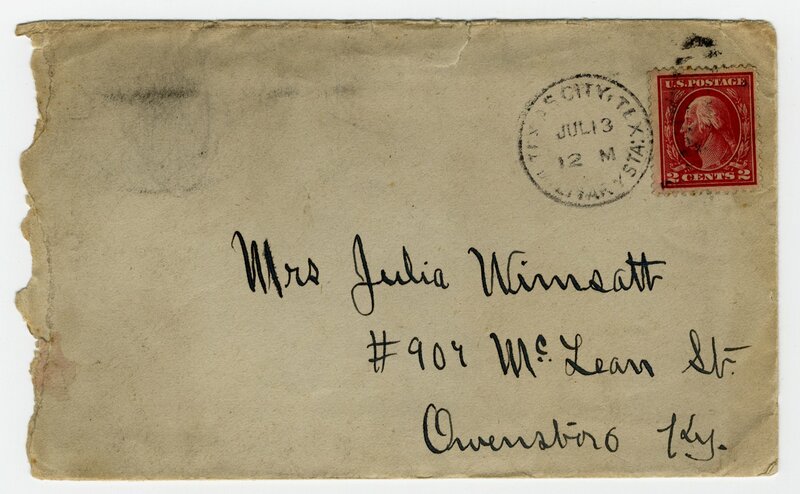 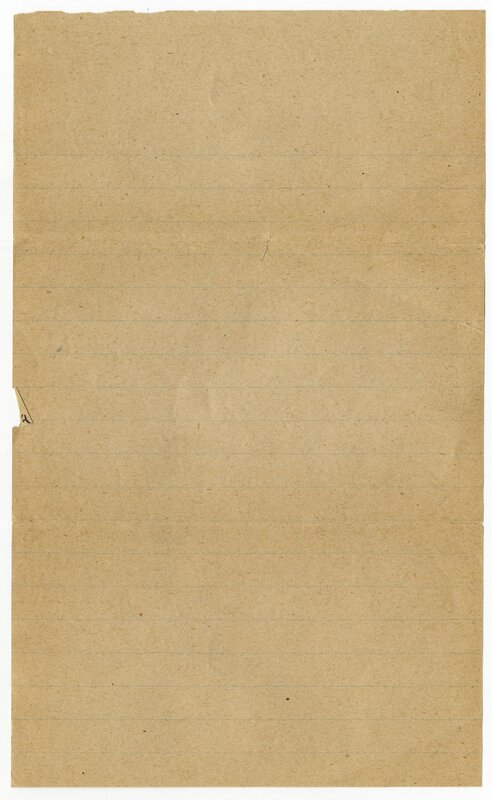 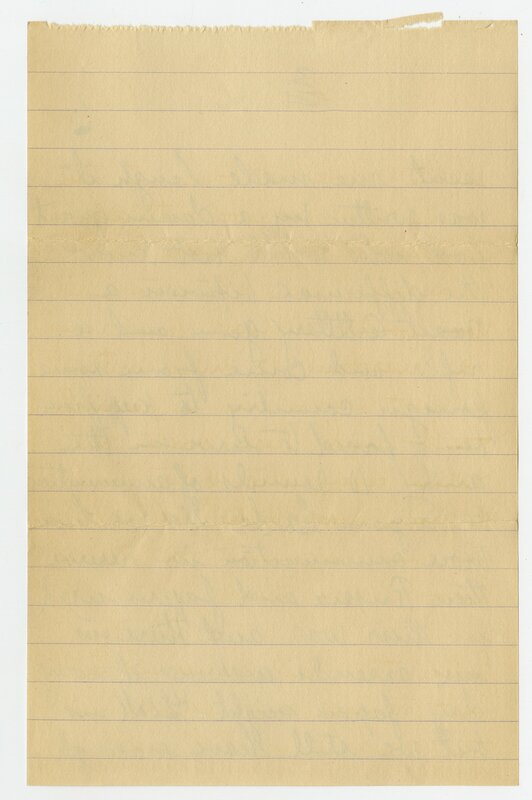 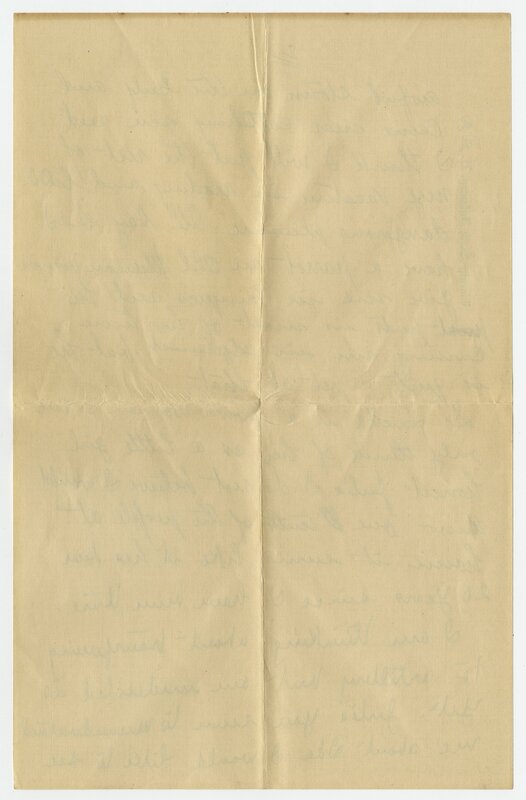 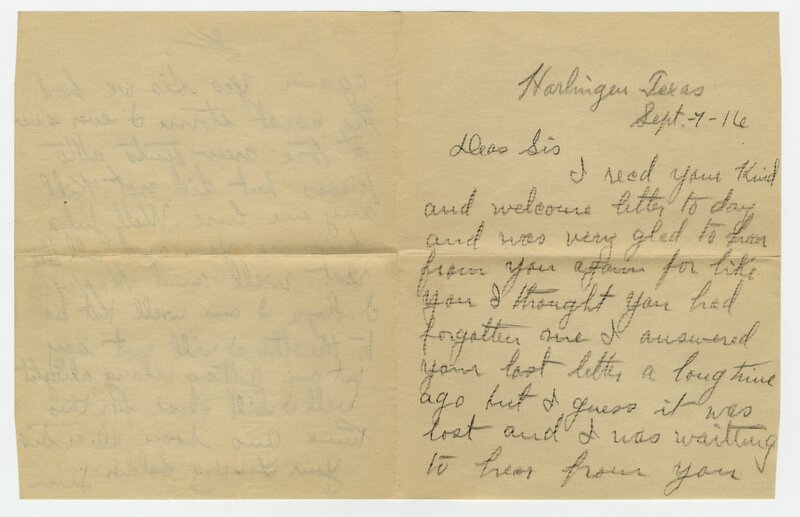 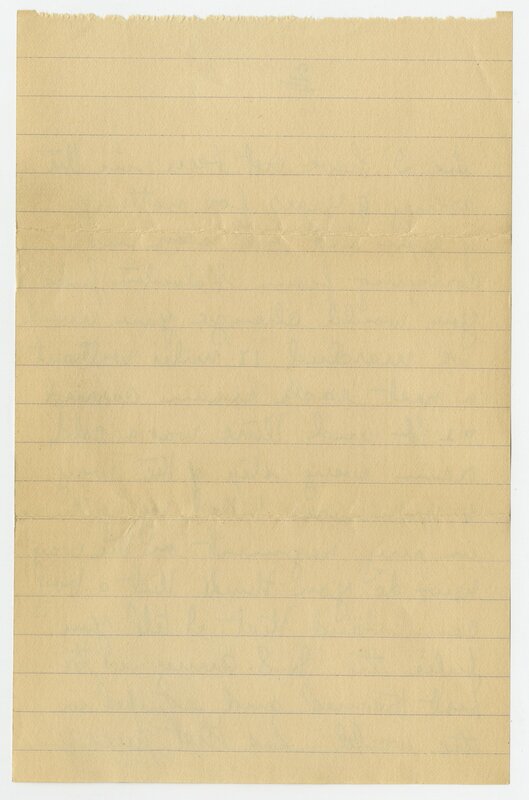 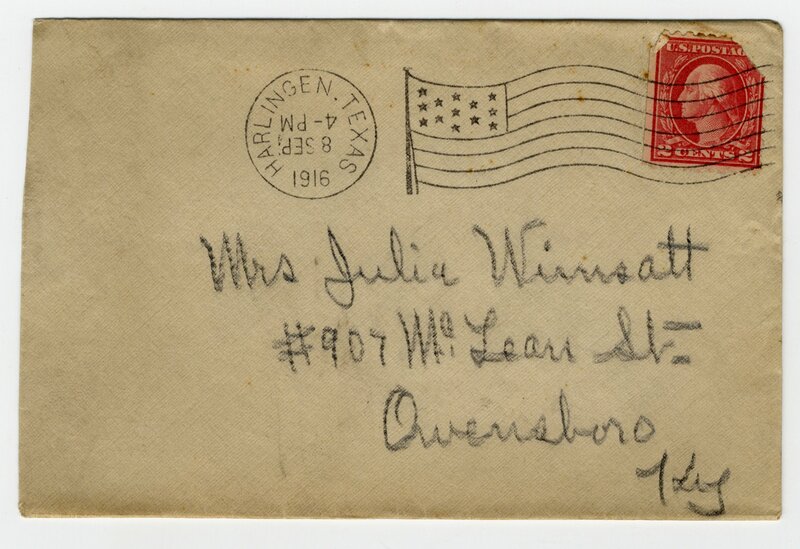 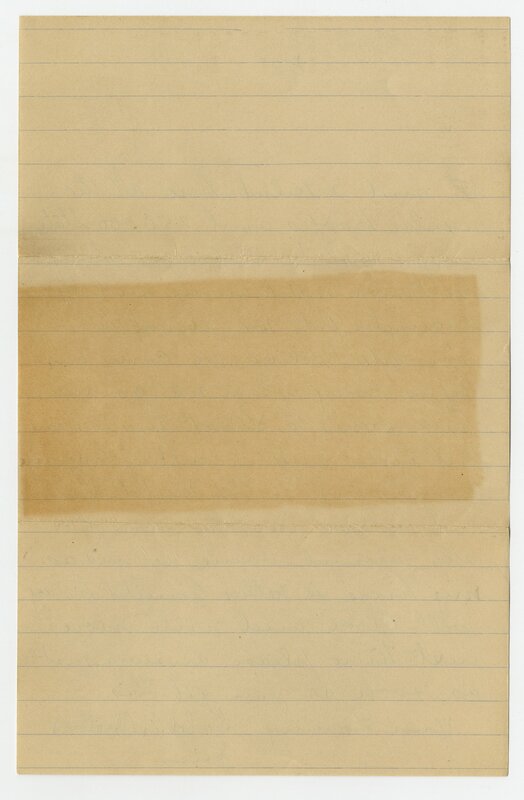 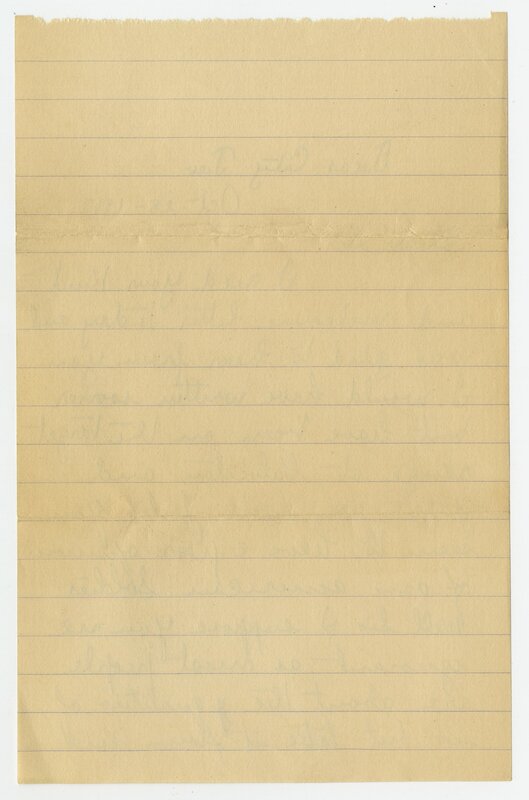 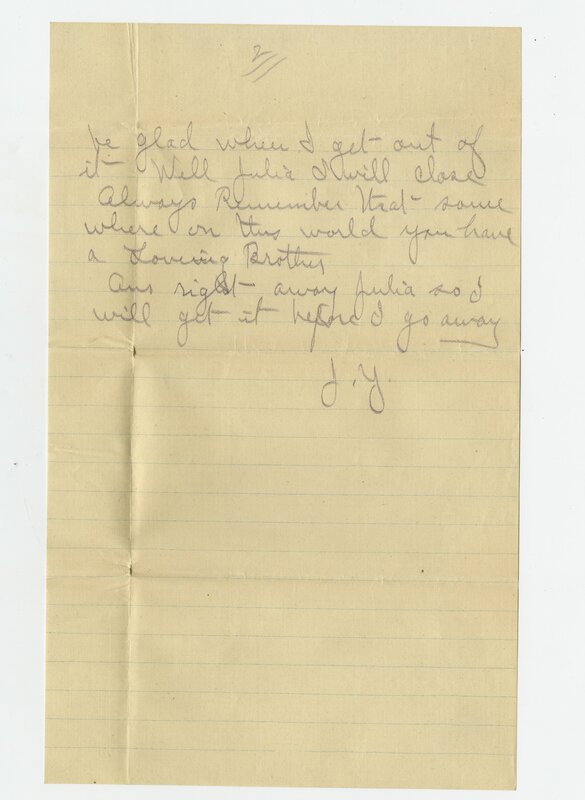 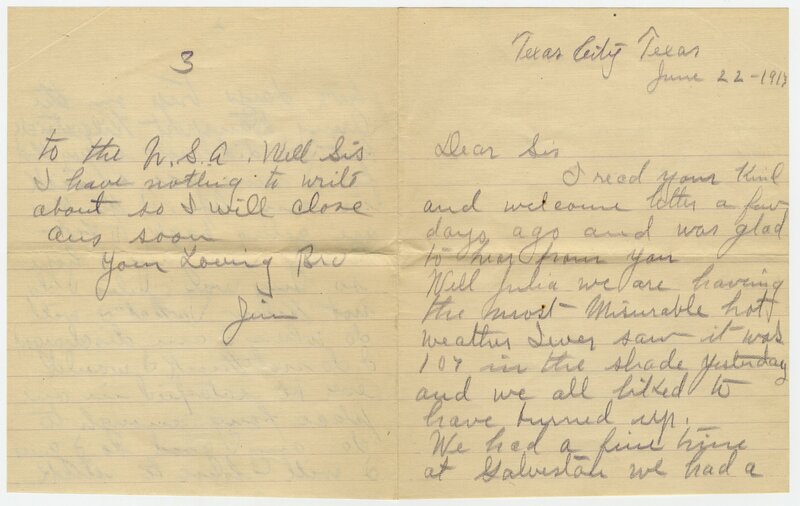 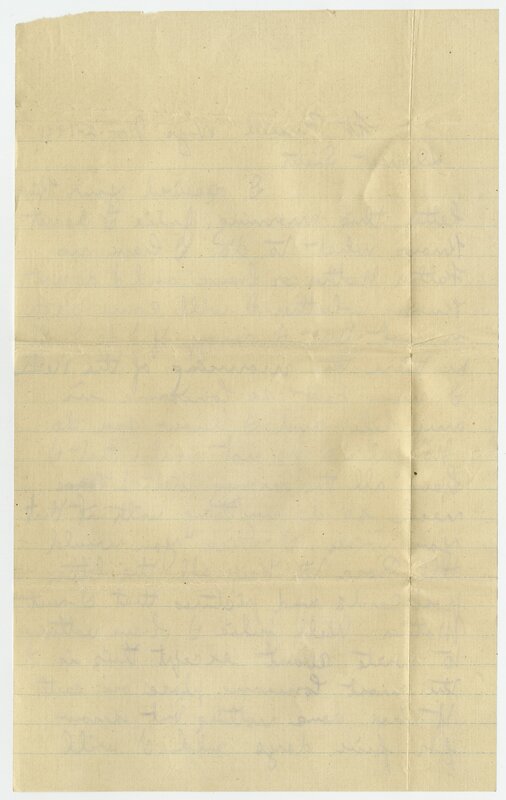 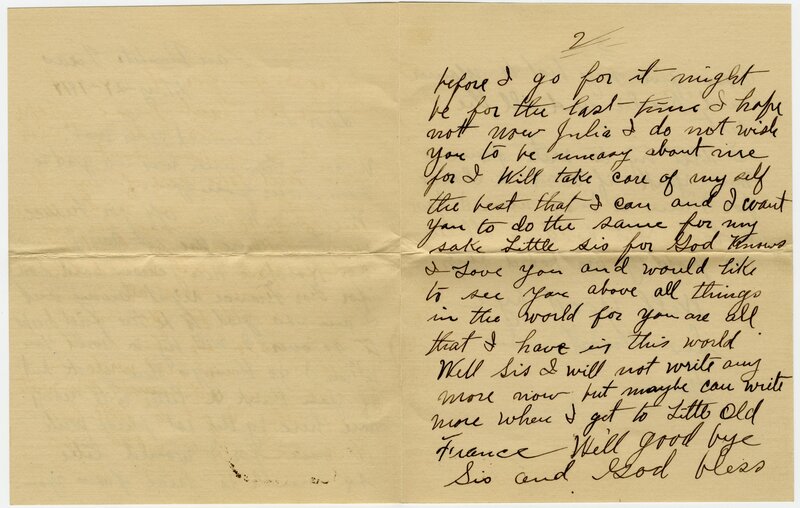 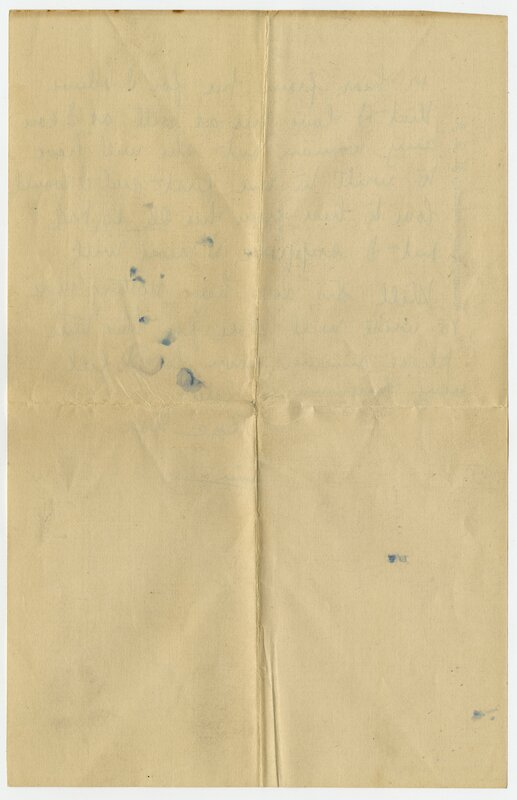 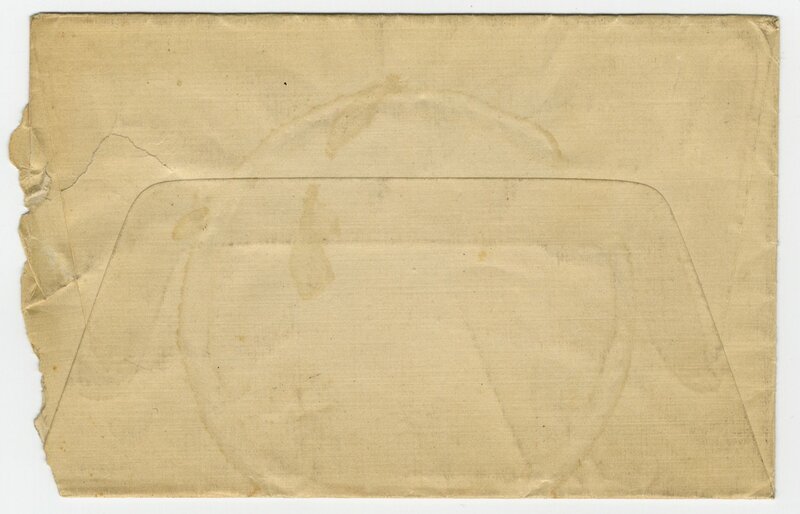 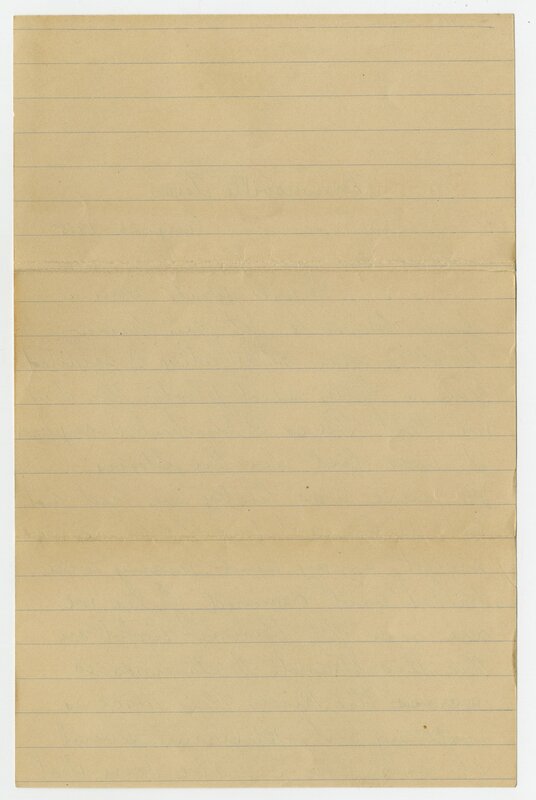 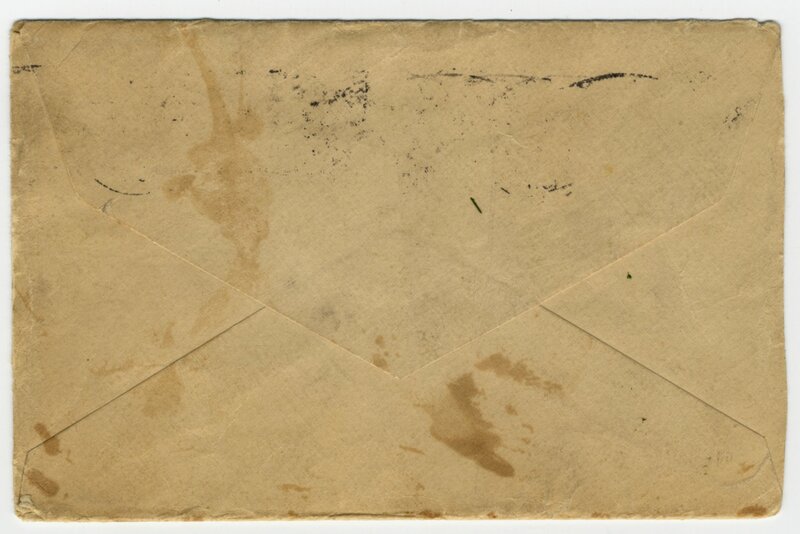 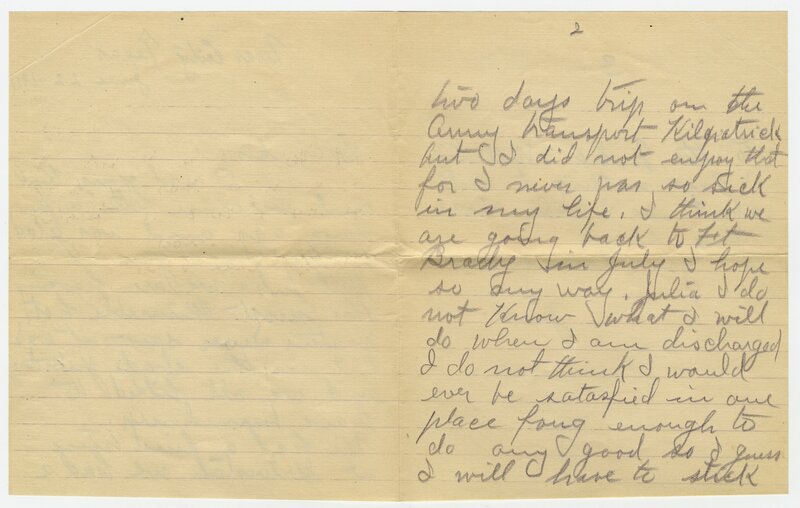 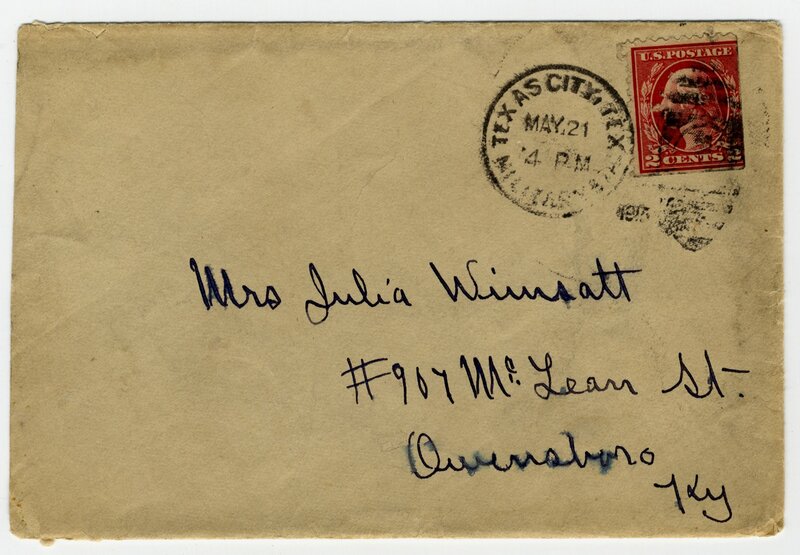 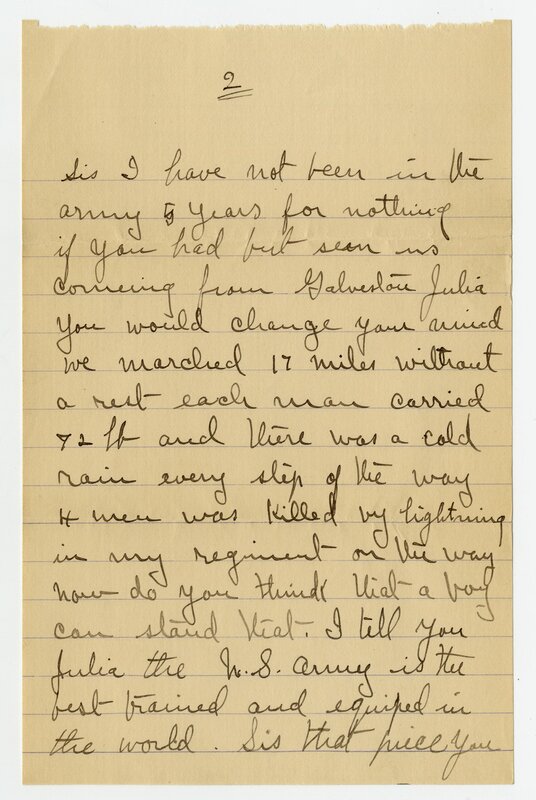 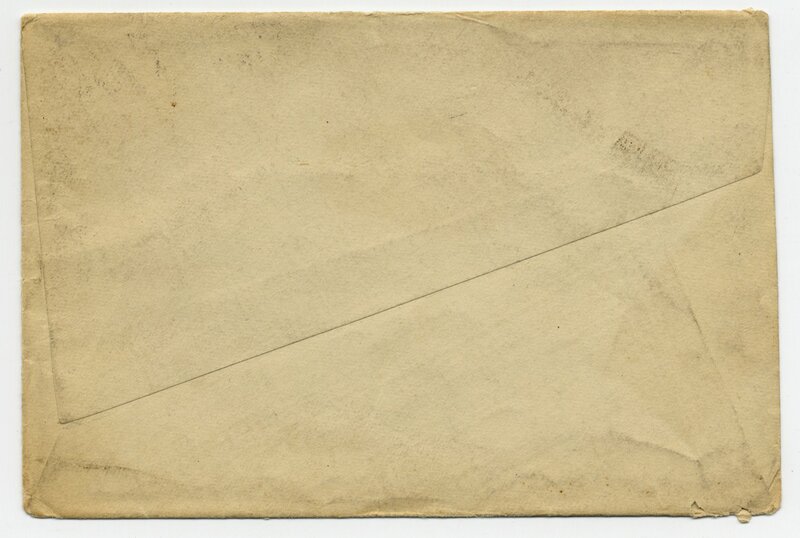 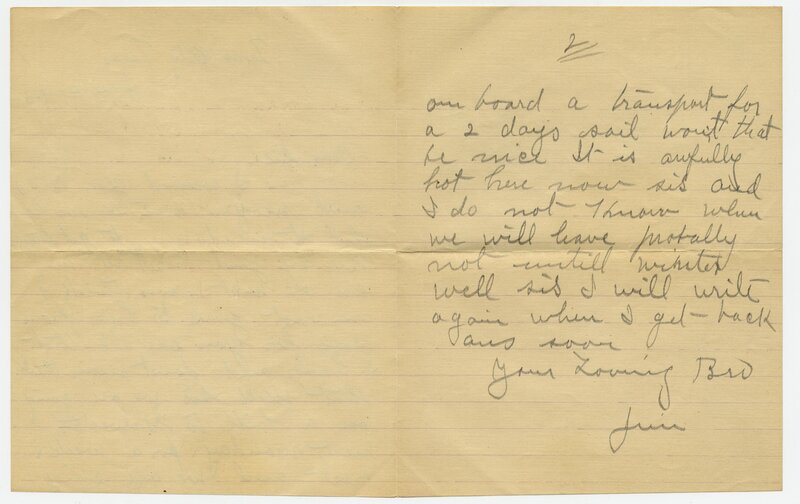 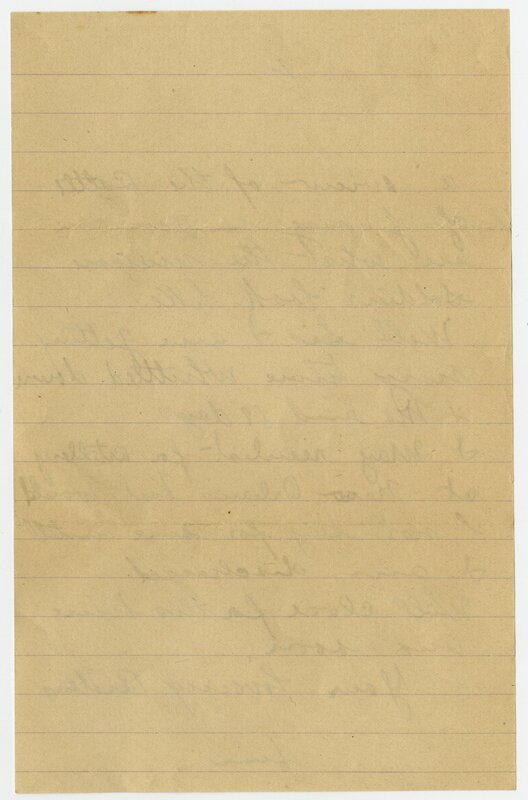 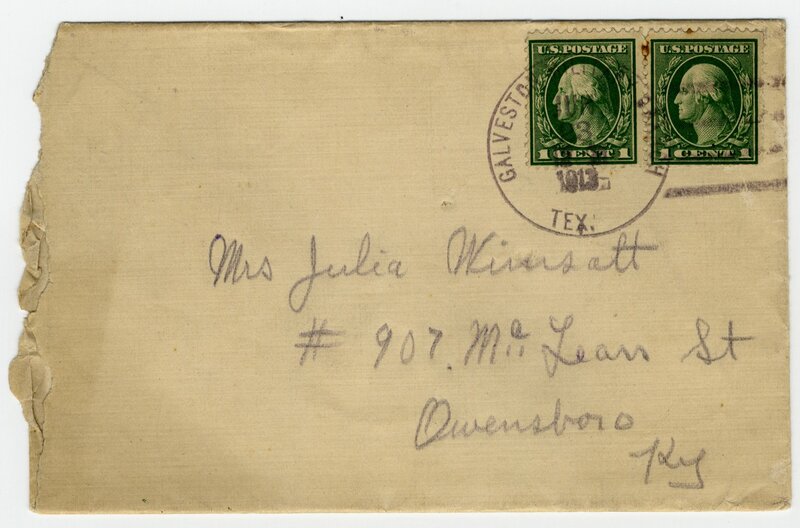 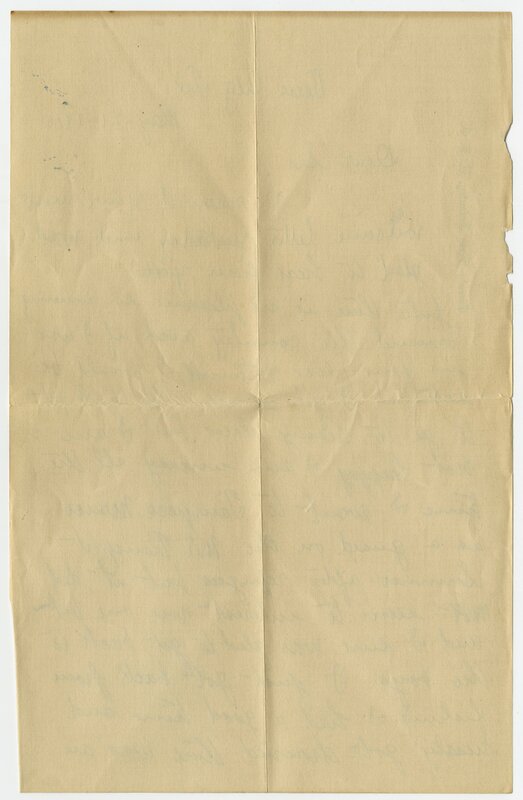 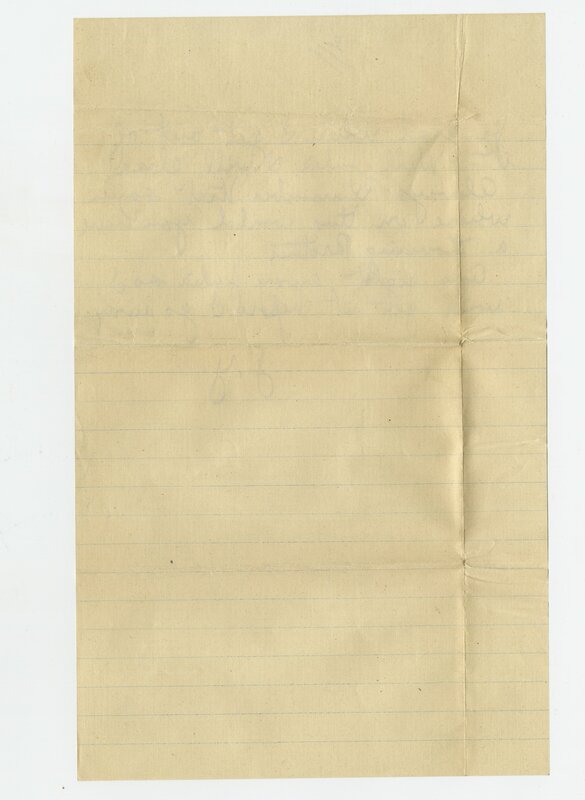 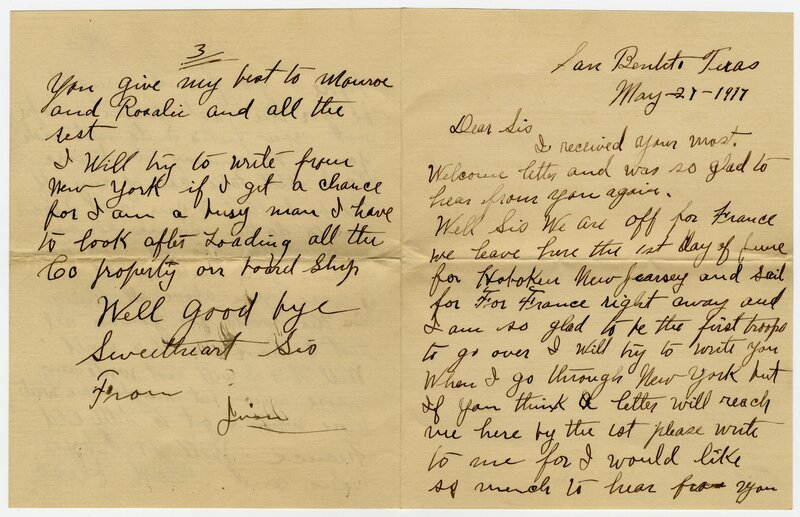 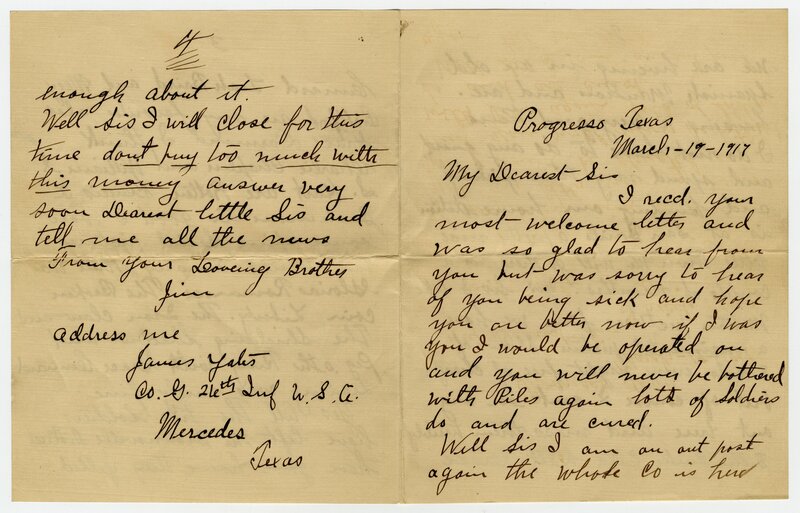 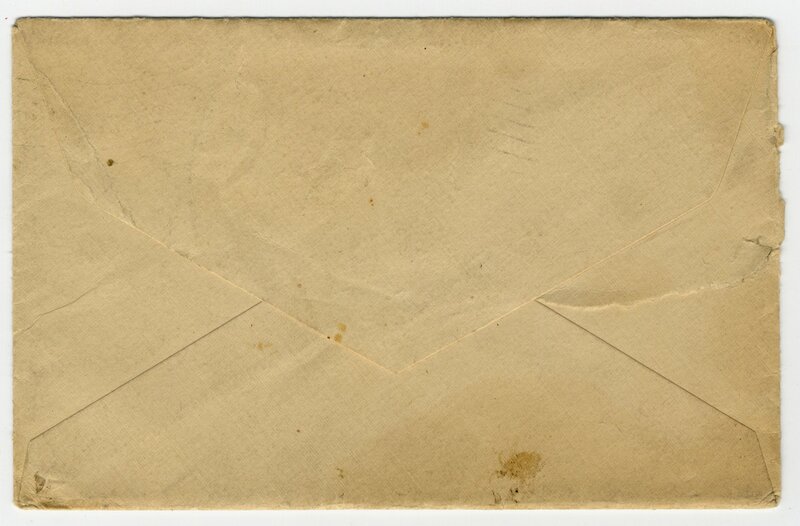 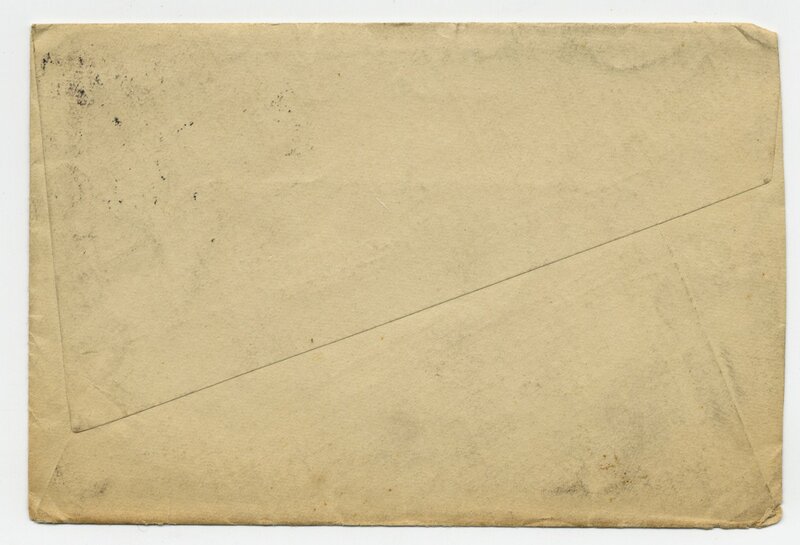 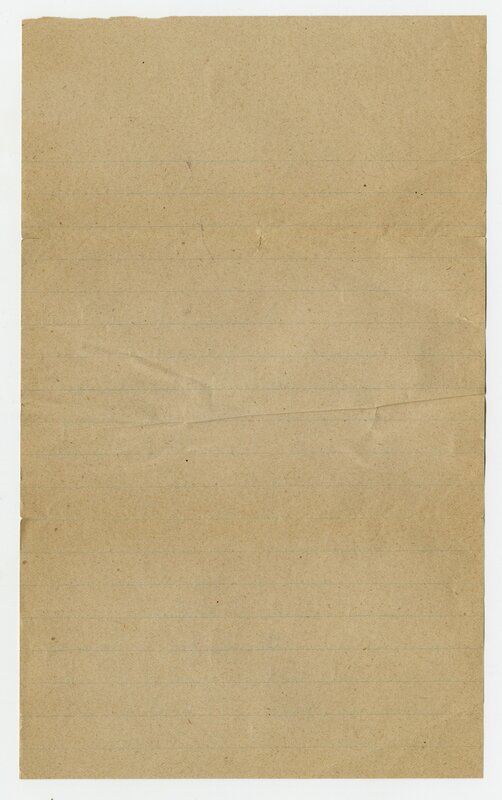 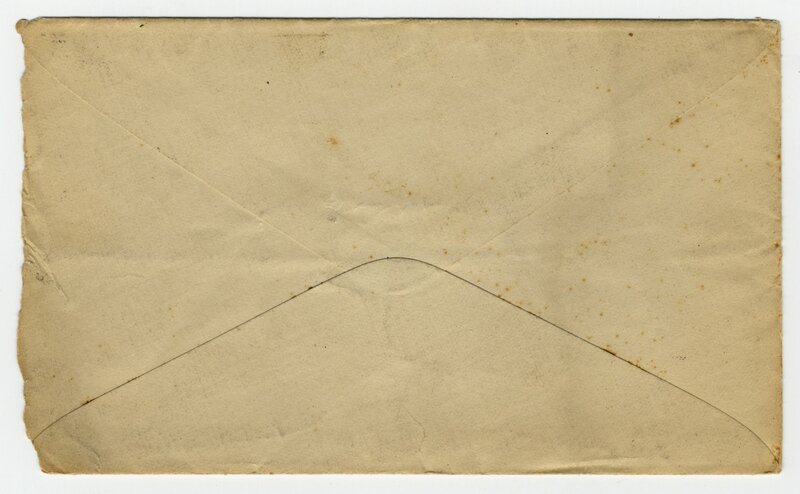 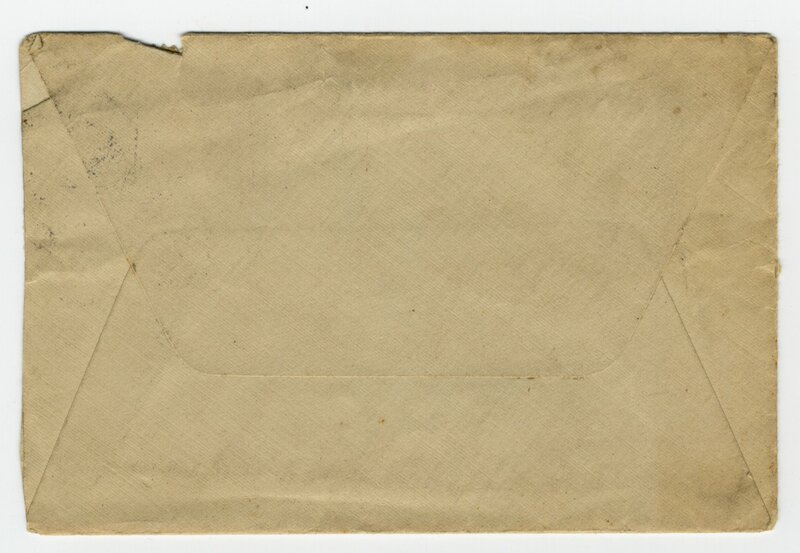 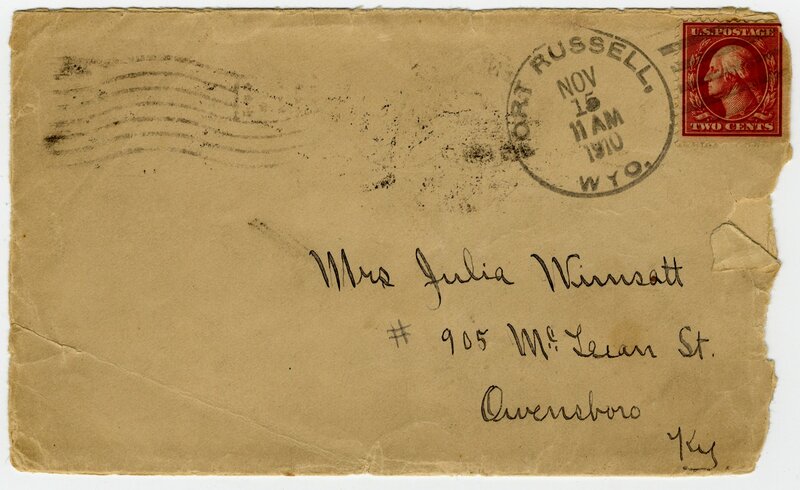 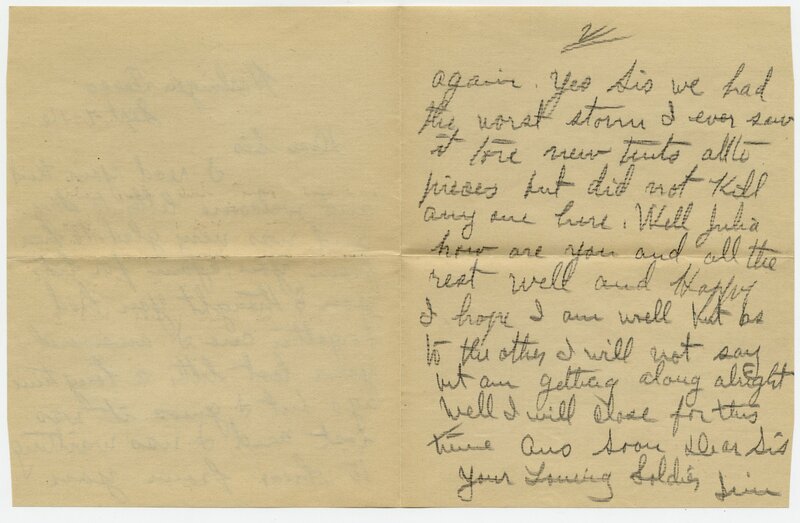 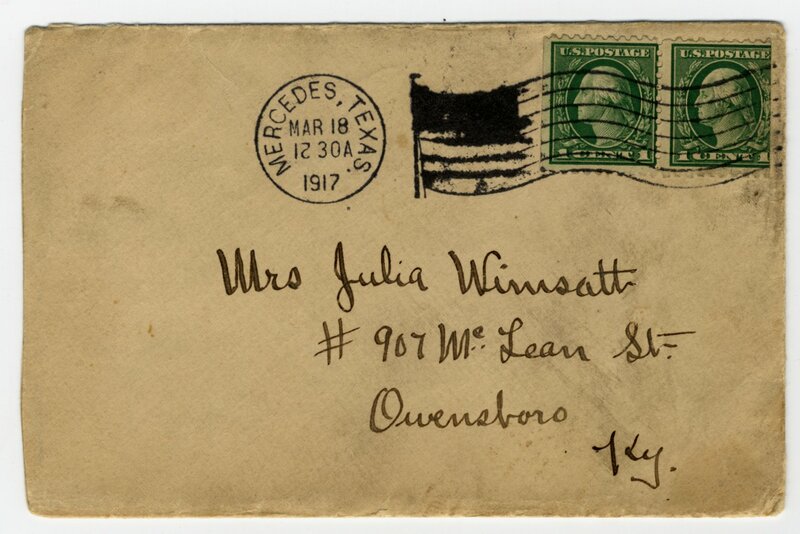 The correspondence series is composed of letters written from James L. Yates to his sister, Julia Wimsatt. 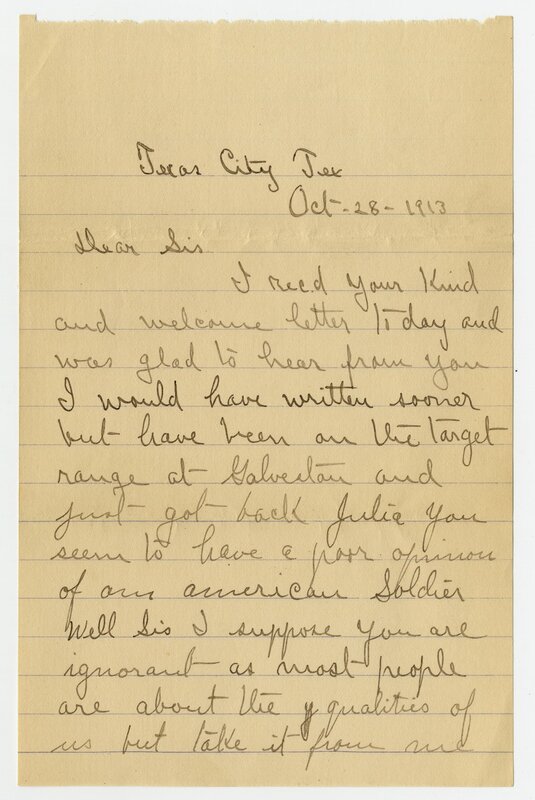 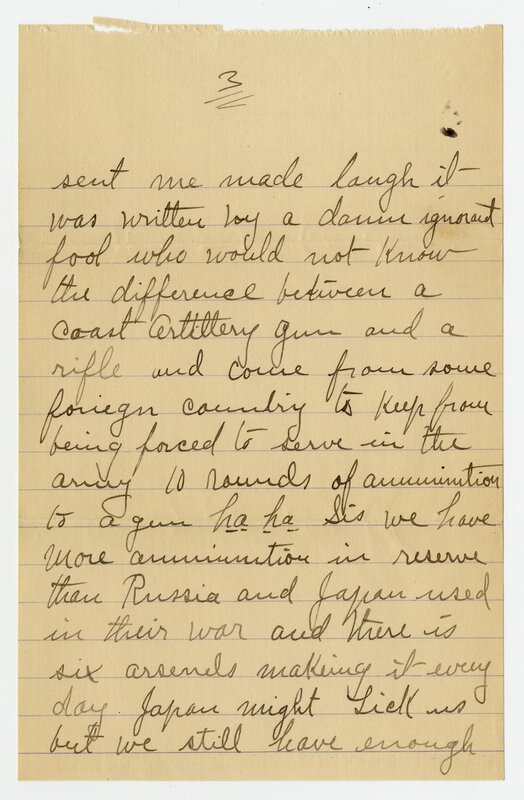 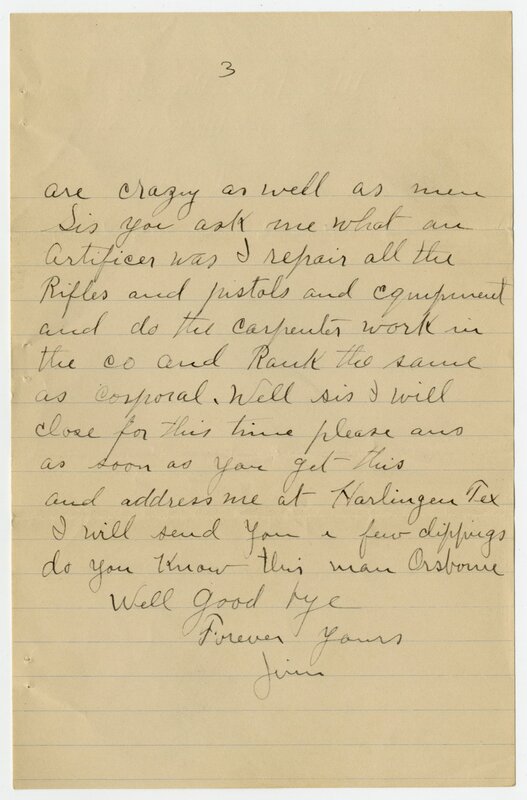 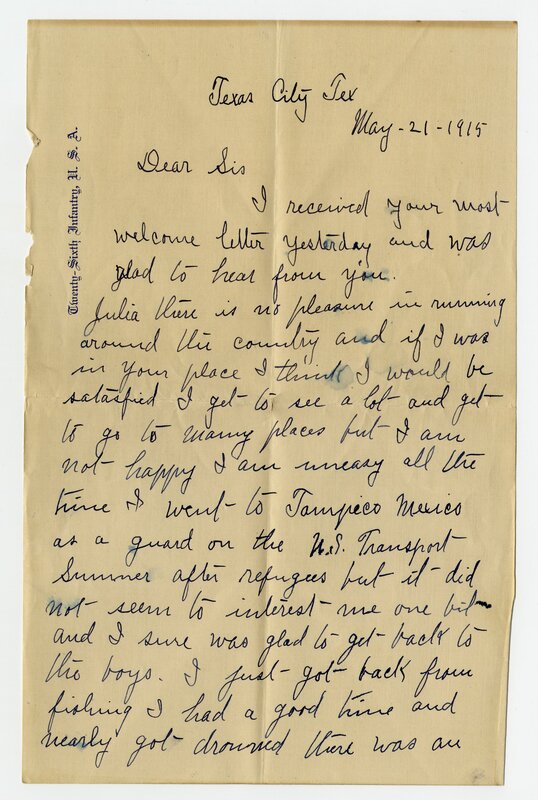 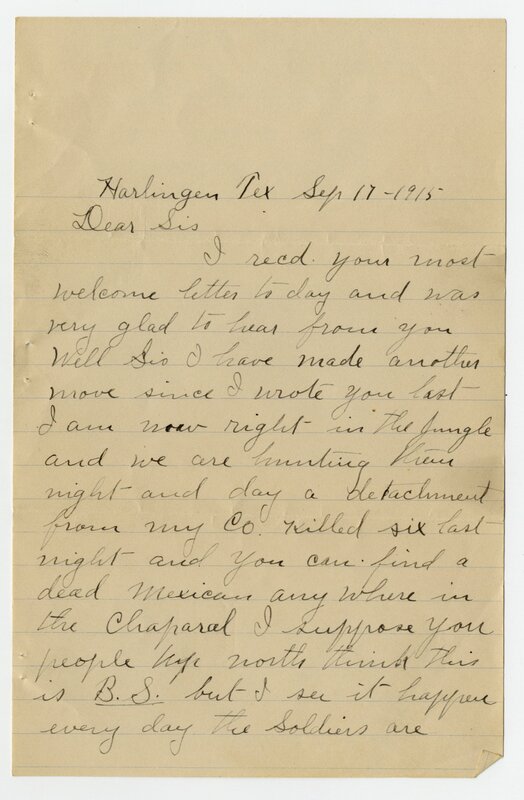 The letters describe Yates' duty guarding the Mexican boarder, and the training performed in anticipation of deployment to France. 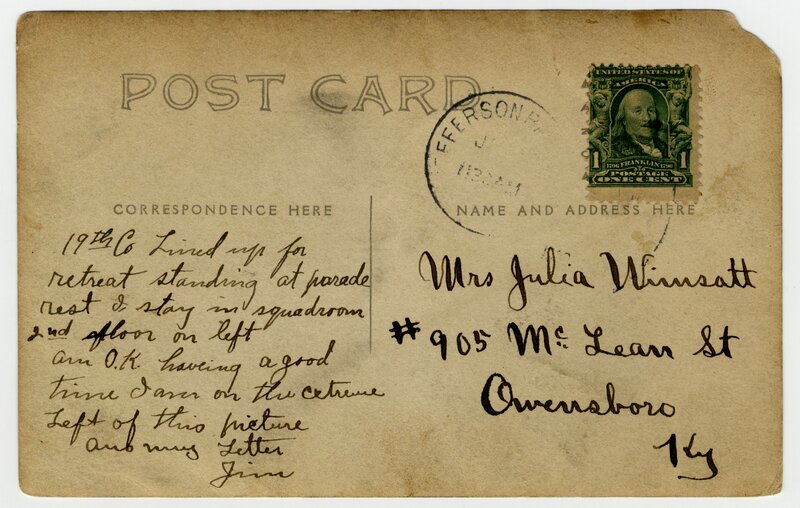 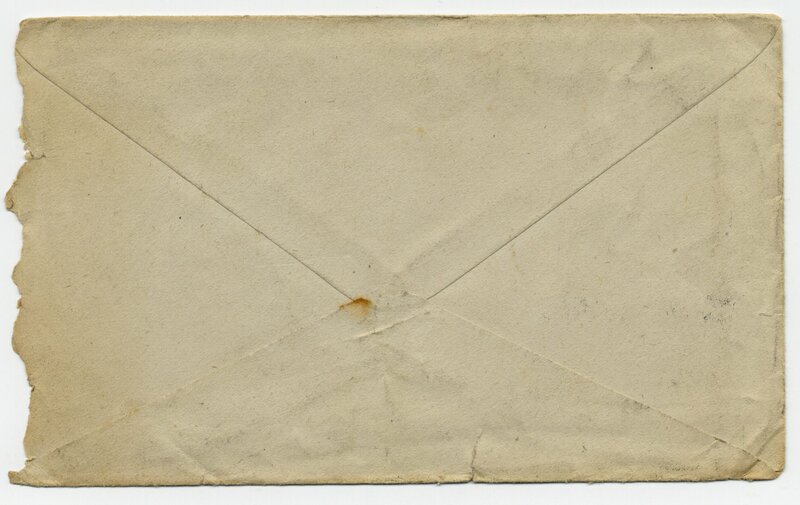 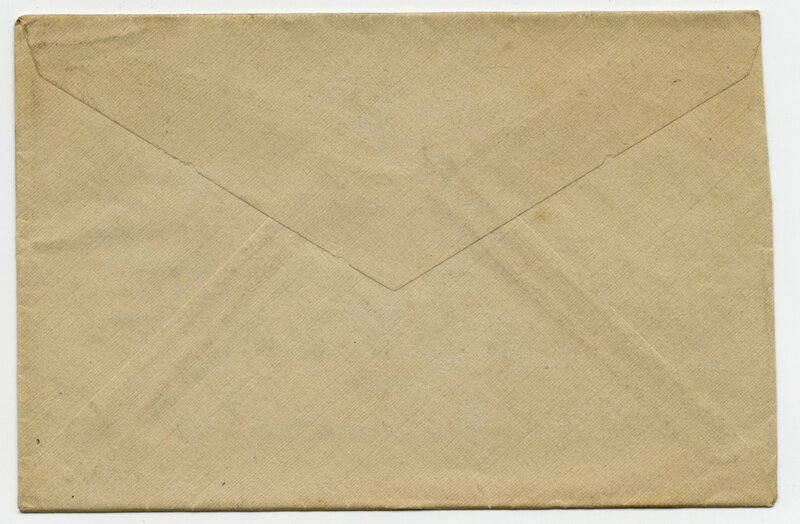 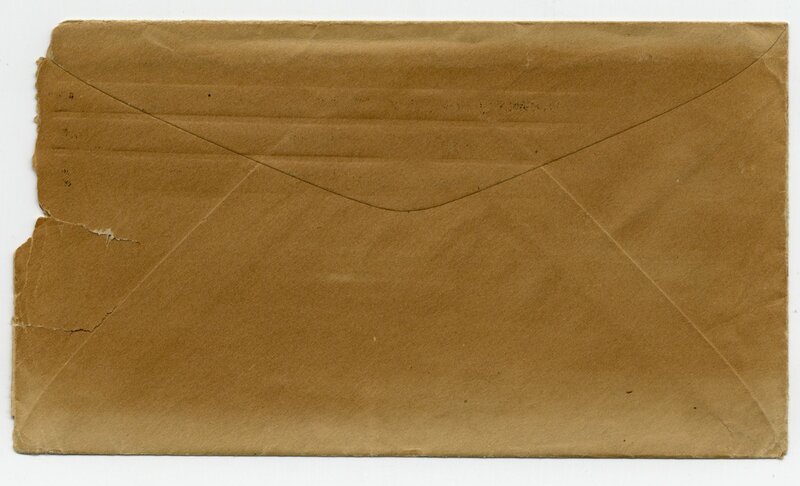 Because there is only one recipient for the correspondence they have been described by where they were mailed. 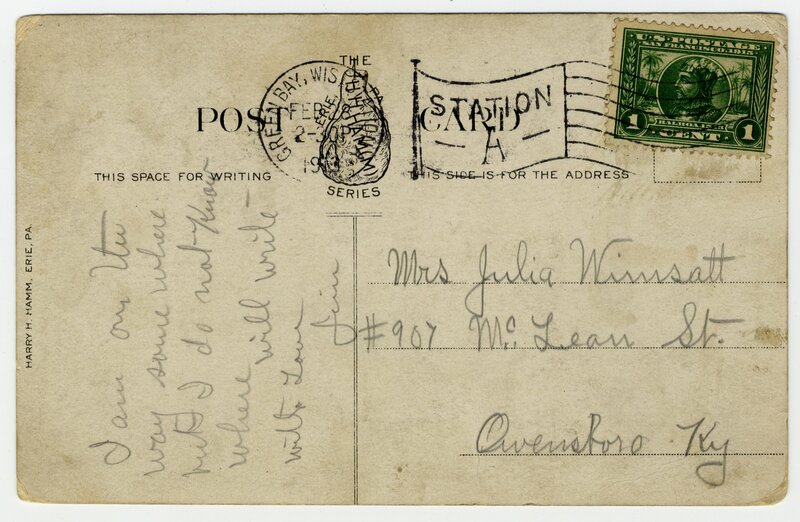 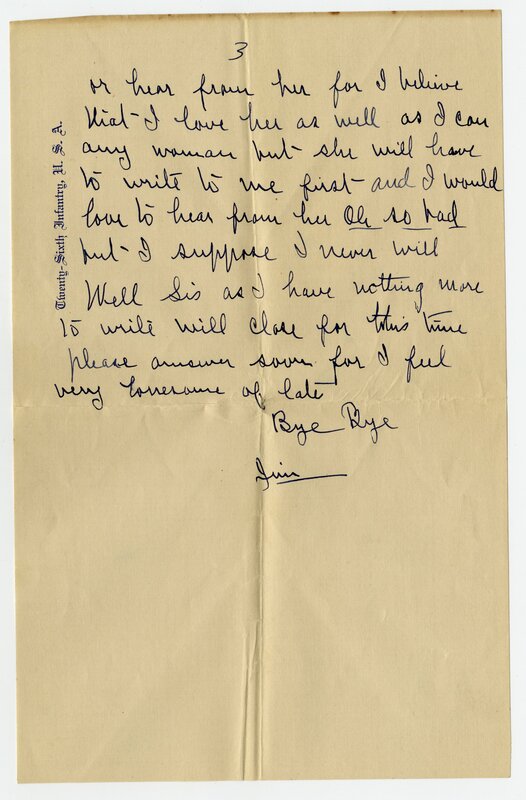 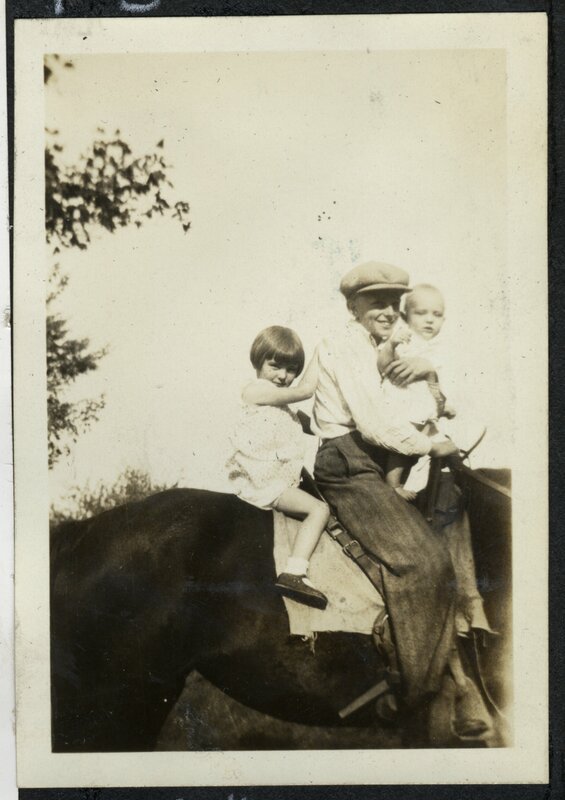 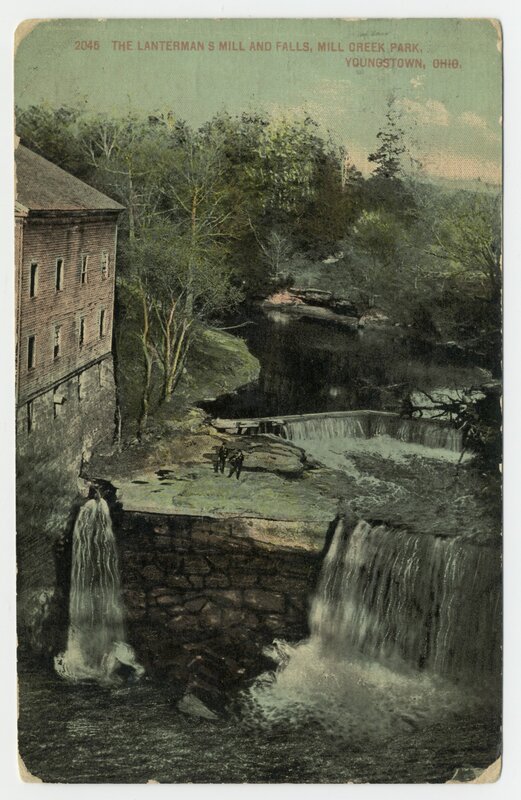 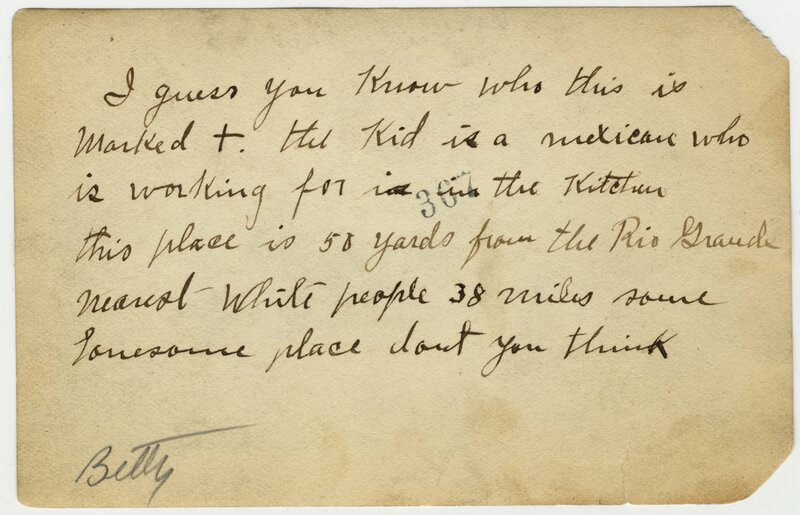 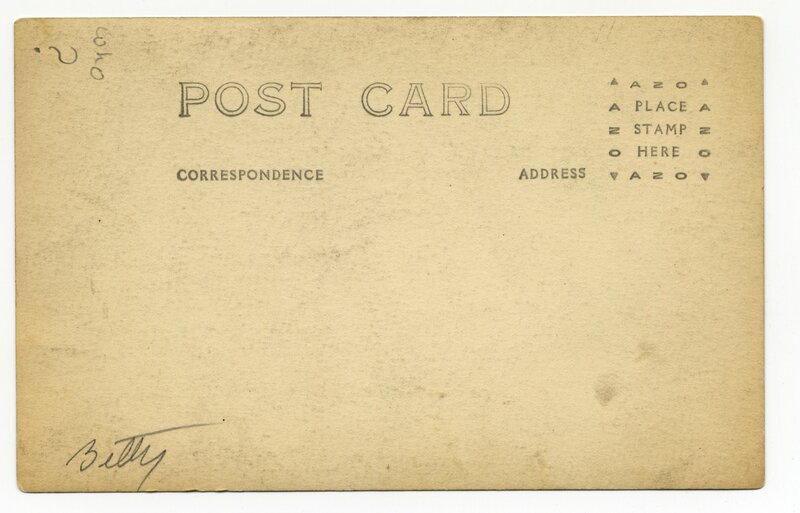 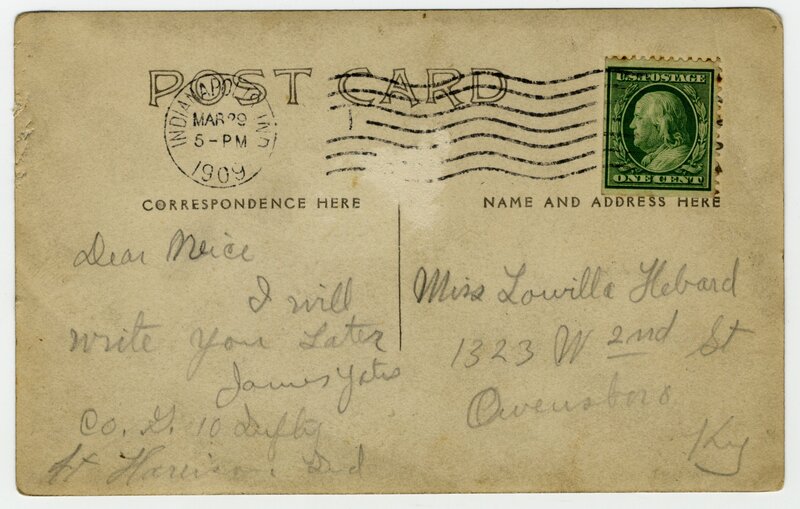 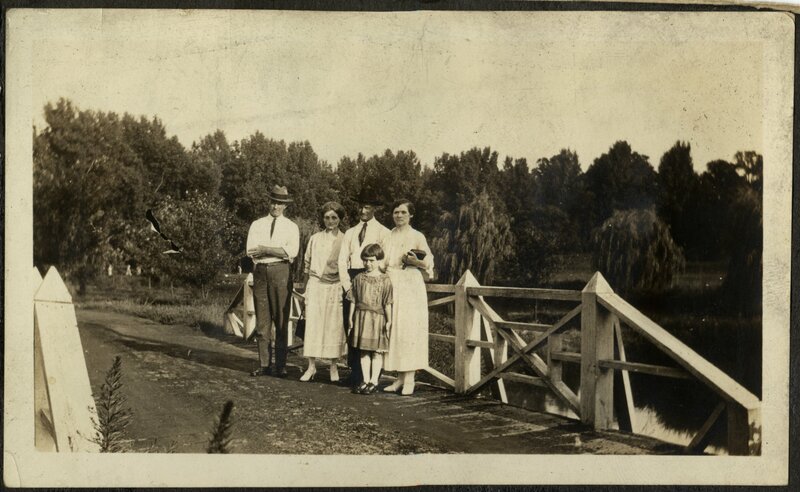 The postcard series contains postcards sent by Yates to his sister and niece. 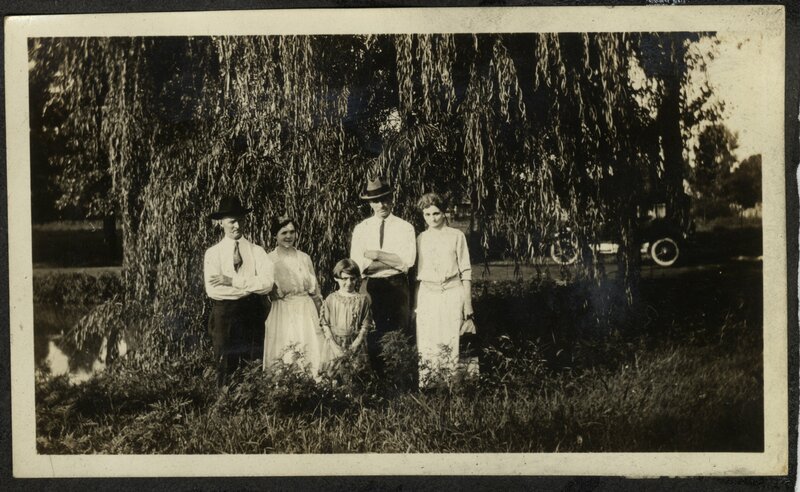 The Clippings series contain articles pertaining to James L. Yates. 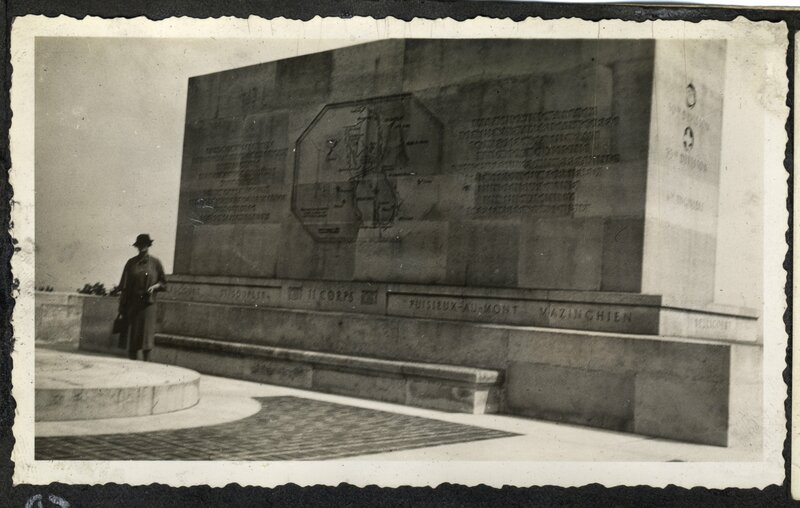 The photographs series contains photographs of a trip to France by relatives of Yates to visit his grave and other World War I memorials. 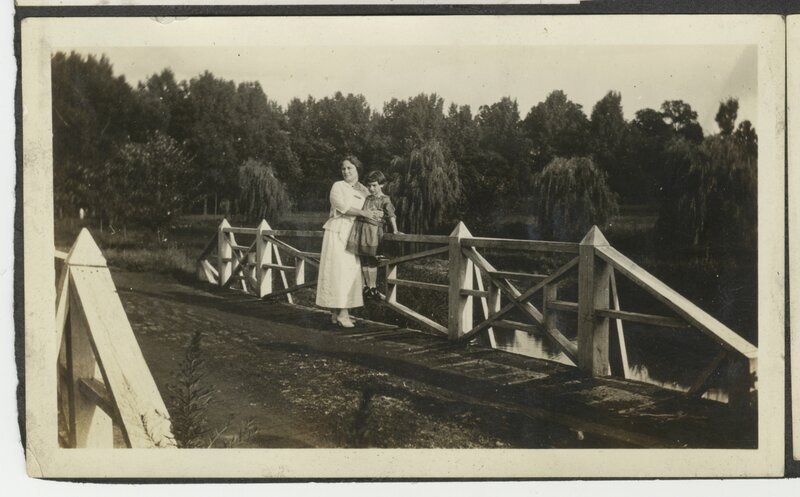 There are also several photographs of Yates.